The Parque das Aves in Foz do Iguaçu is a bird park close to the Iguaçu Falls. 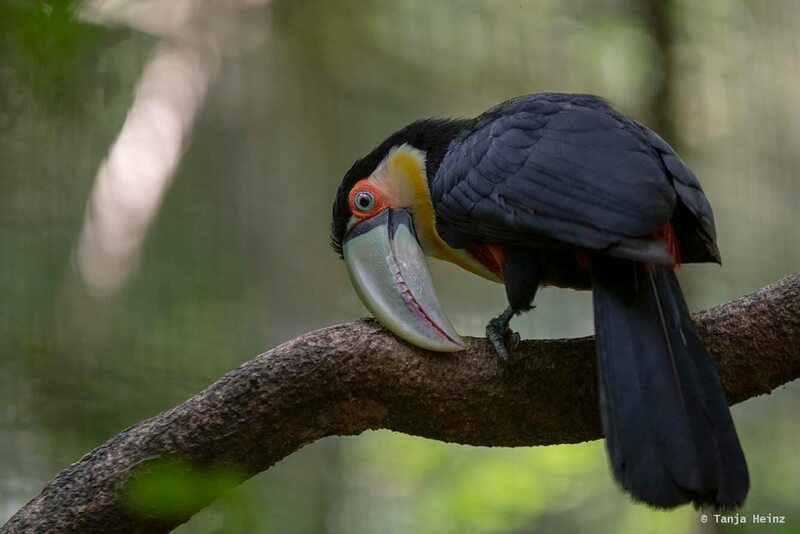 In this article you will read more about the bird park itself, its history and conservation work, but also which birds and other animals you can meet there. I will also tell you more about why I have visited Parque das Aves. Should I visit a bird park? If I ask myself this question, honestly, I cannot give you a clear general „yes“ or „no“. Of course, I think that we do not have the right to capture and confine any wild animal in a small cage. 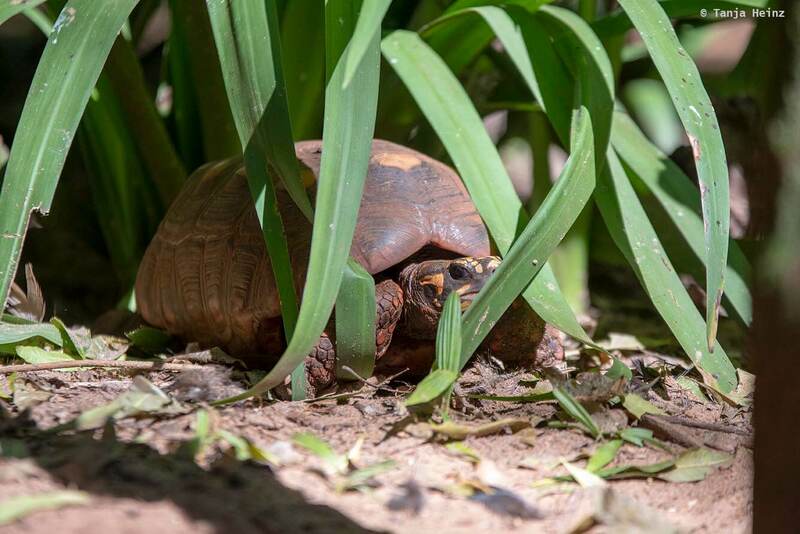 But due to the fact that threats for animals in their natural environment seem to grow and grow and grow – be it habitat destruction, human-wildlife conflict or trade with wild animals (just to name a few) – isn’t it better to provide at least some animals a safe place in a small protected area? 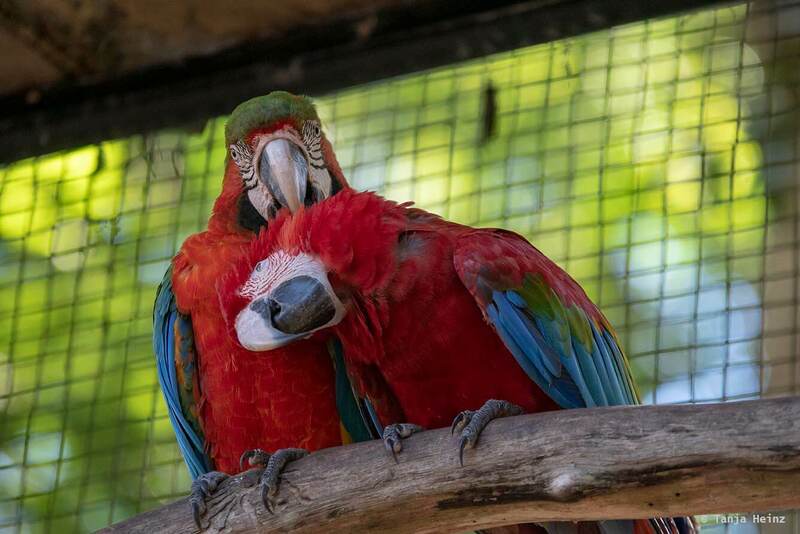 If it is done right a bird park or zoo could promote the environmental education of people and create a place were people can feel closer to nature again. 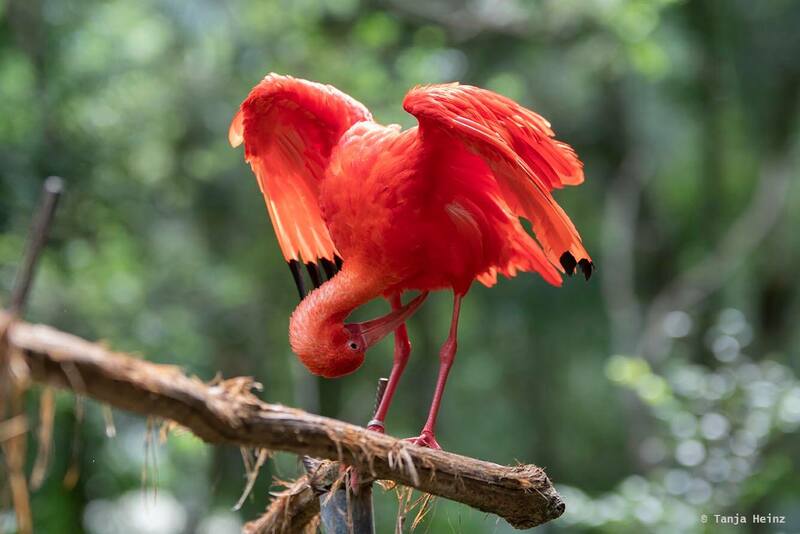 However, I will not tell you here what is right and what is not right, but introduce a bird park which is doing a great and important work in my opinion. And that is Parque das Aves in Foz do Iguaçú. 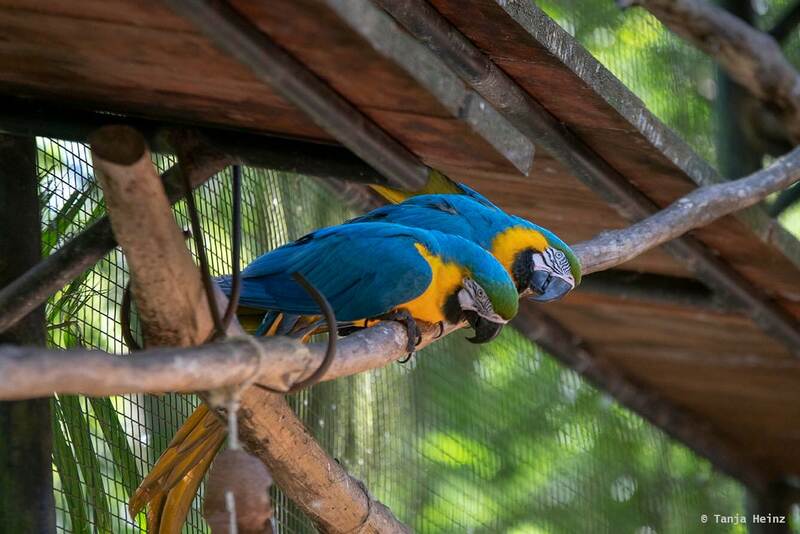 This bird park is located in a very touristic area just next to the Iguaçú Falls. 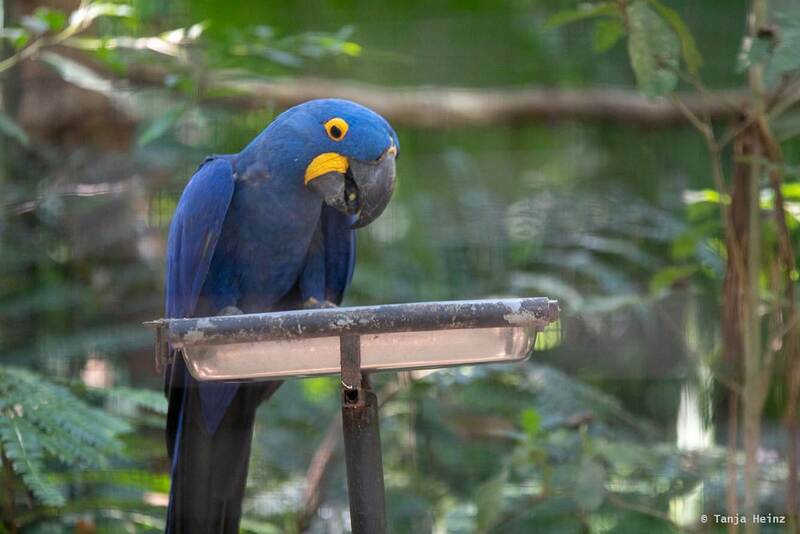 I visited Parque das Aves, because this bird park is involved in several bird conservation projects. 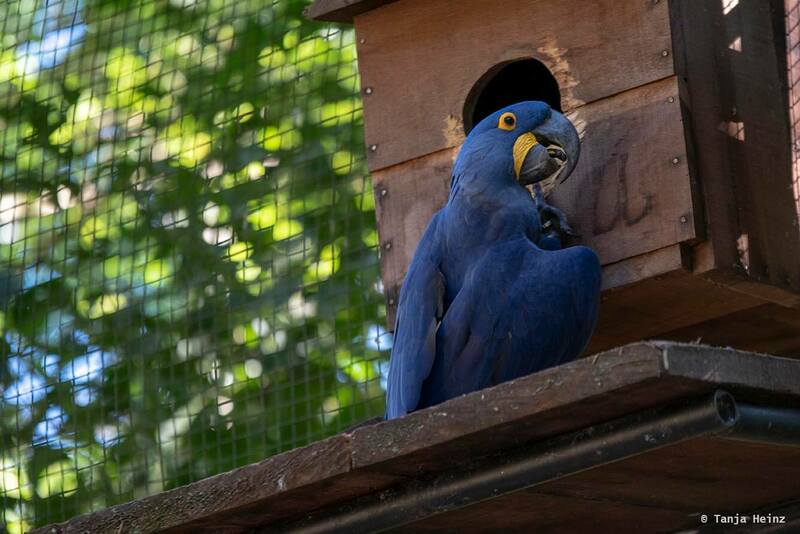 They also provide a home for those birds that came from animal trade or mistreatment. I hope I can convince you that Parque das Aves is worth a visit. 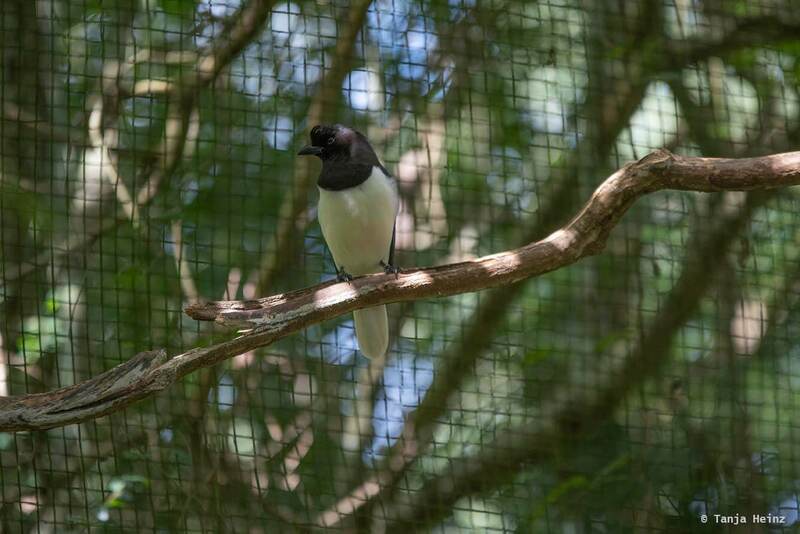 With your entrance fee you can help at least on a small scale that this bird park can continue with the protection of birds. By the way, this is not the first time that I have visited an aviary. 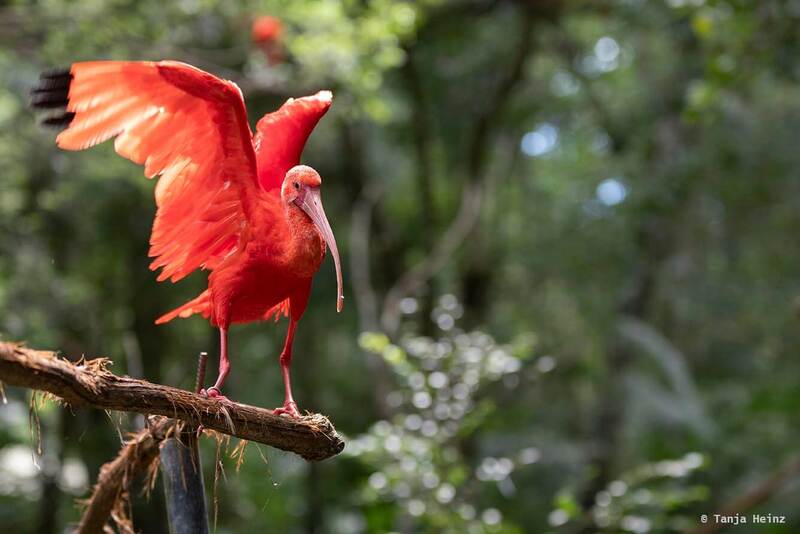 In South Africa I visited Birds of Eden close to Plettenberg Bay. 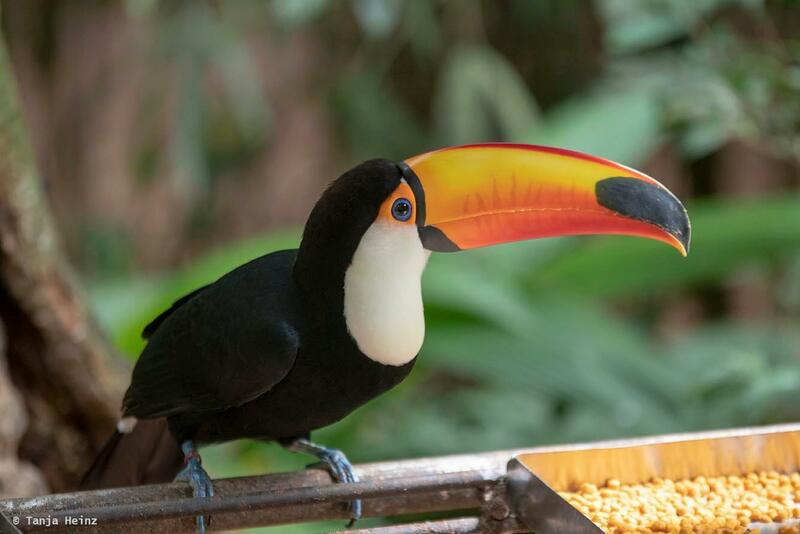 Tip: Parque das Aves is just next to the Iguaçú Falls. If you do not have a lot of time and if you want to visit both the Iguaçu Falls and the Parque das Aves it is possible to do both on one day. However, I think it is worth to take time and visit these two places on two separate days. 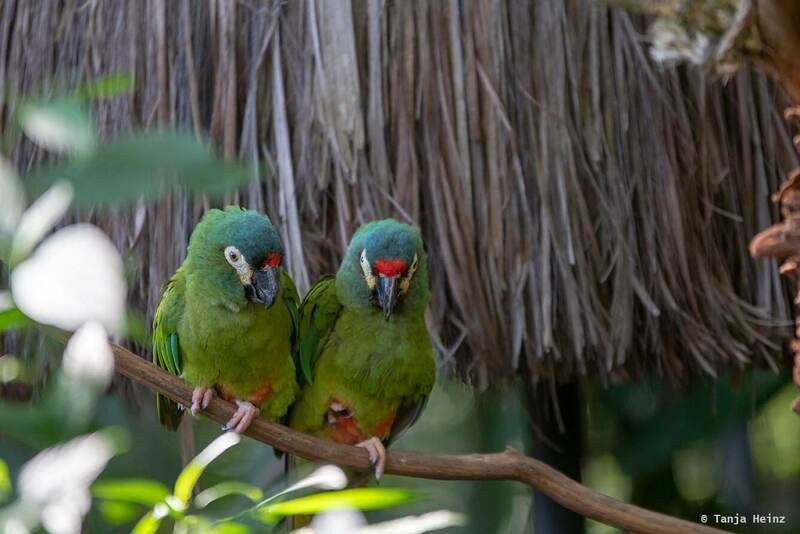 With more than 800 thousand visitors every year Parque das Aves became a very popular destination for many people visiting Foz do Iguaçu (including more than 35 thousand school children). 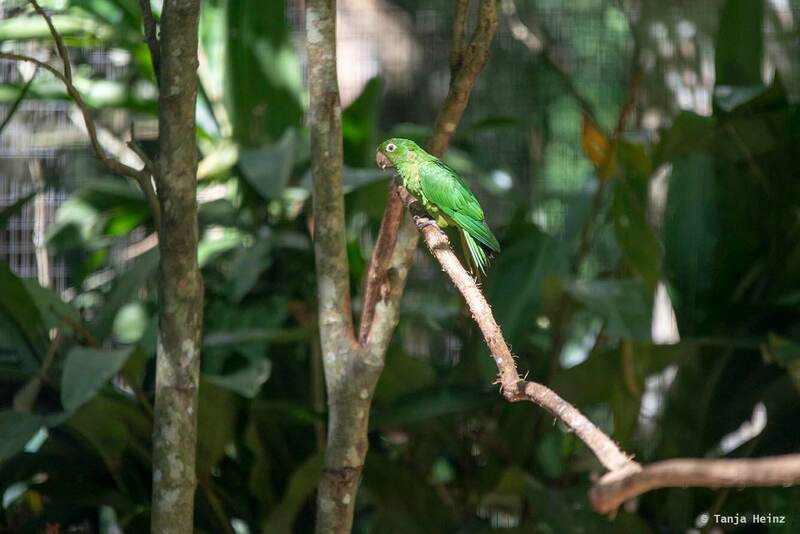 The people of the bird park claim to work for a better world and they say that they have created a place where people can live in peace with nature. They also want to save species from the brink of extinction. Do they reach their ambitious goals? If you check their recent statistics, in my opinion they really do a great work, especially for birds of the Atlantic Forest. 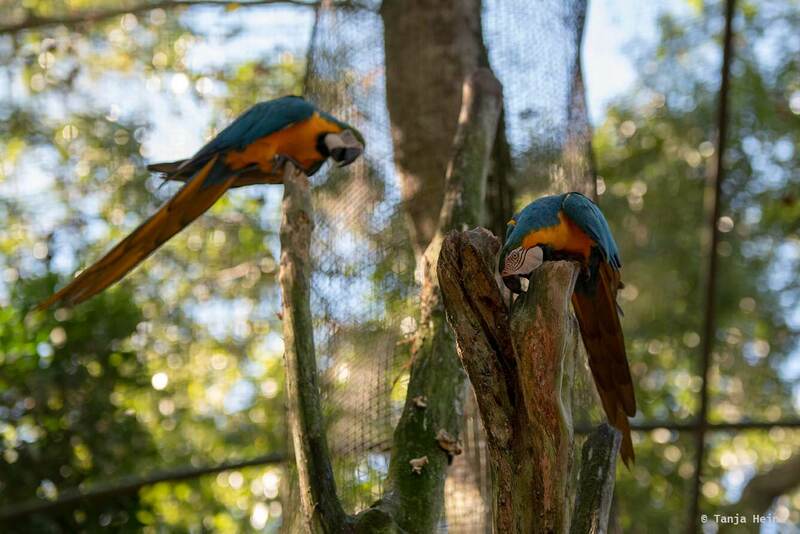 Consider that only less than 10% of the original Atlantic Forest remains, many bird species and other animals like for example the golden lion tamarins or the Southern muriquis are thus threatened due to the loss of their habitat. 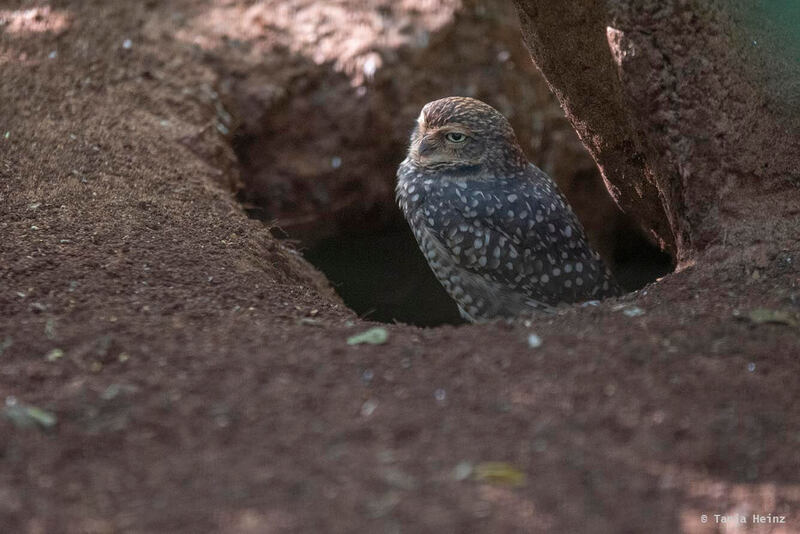 Therefore, it is important in my opinion that there are facilities like Parque das Aves that look after birds which loose their natural environment. 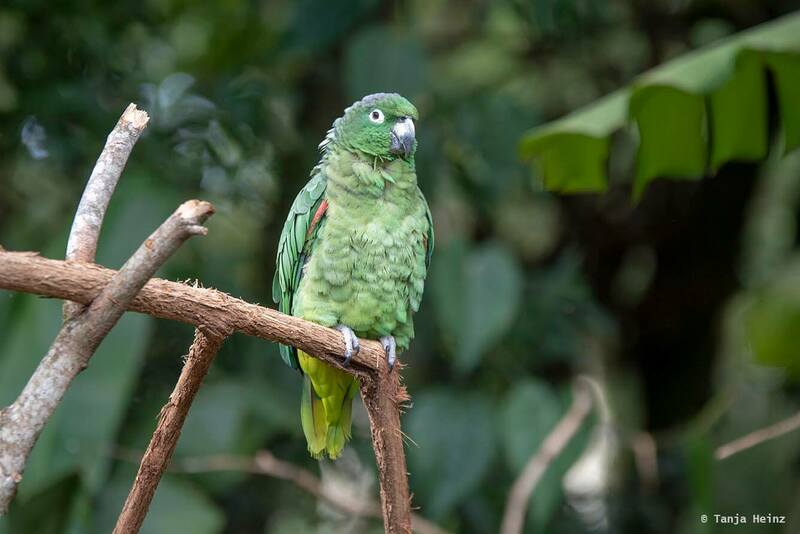 In 2017 about 70% of all birds in Parque das Aves came from the Atlantic Forest. Today the number reaches 85%, but their aim is to get over 95%. So, in the future they want to have a bird park with almost only native birds from the Atlantic Forest. They also have a list of 107 endangered bird species. Their focus will be on the protection of these birds. On this list is for example the jacutinga (Aburria jacutinga), the Alagoas curassow (Pauxi mitu) or the turquoise-fronted amazon (Amazona aestiva). 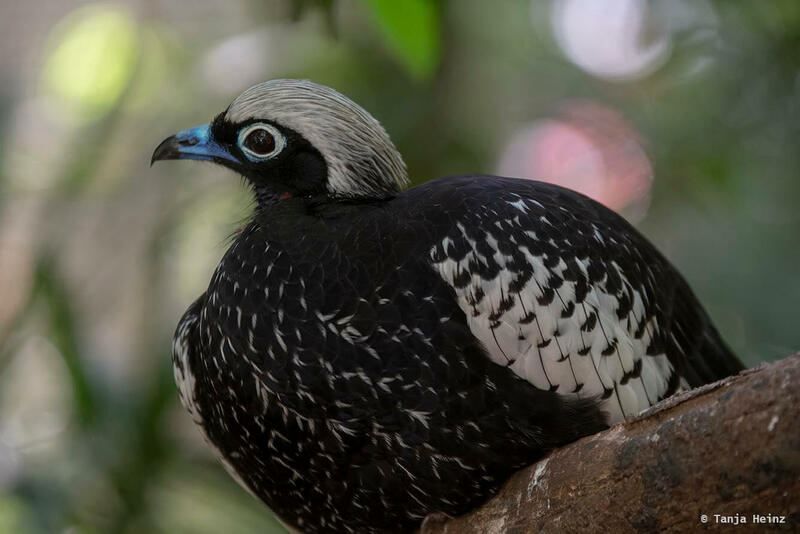 In the following photograph you can see a jacutinga. 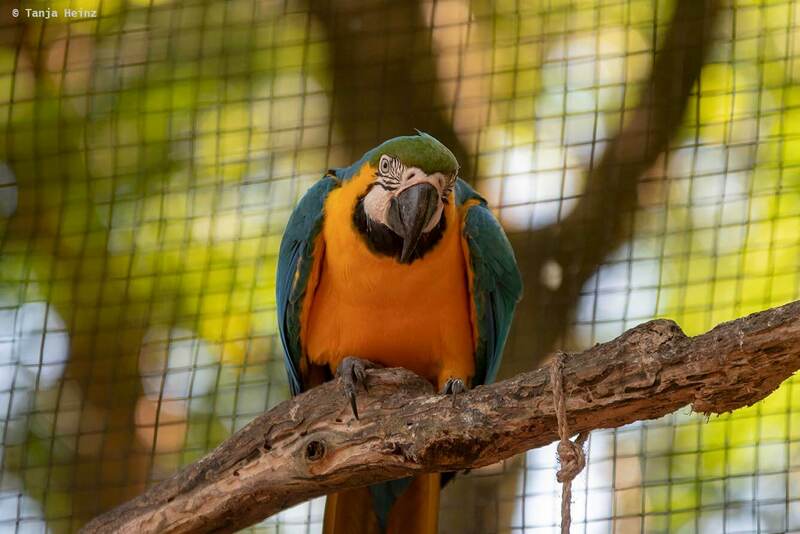 Most birds (54%) in the bird park come from mistreatment and animal trafficking. About 35% of the birds where born in the park. The remaining birds (11%) ended up in the park for various reasons. 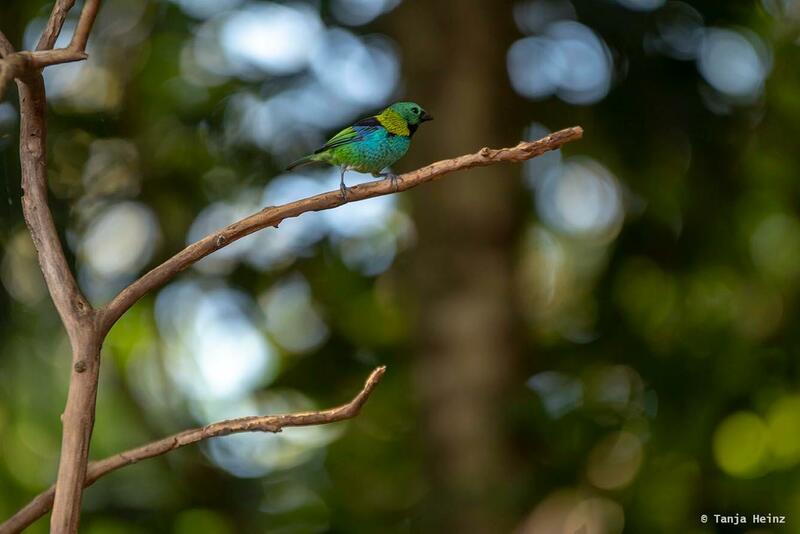 In total, Parque das Aves hosts more than 1400 birds from about 150 different bird species in an area reaching 16 hectares of protected Atlantic Forest. 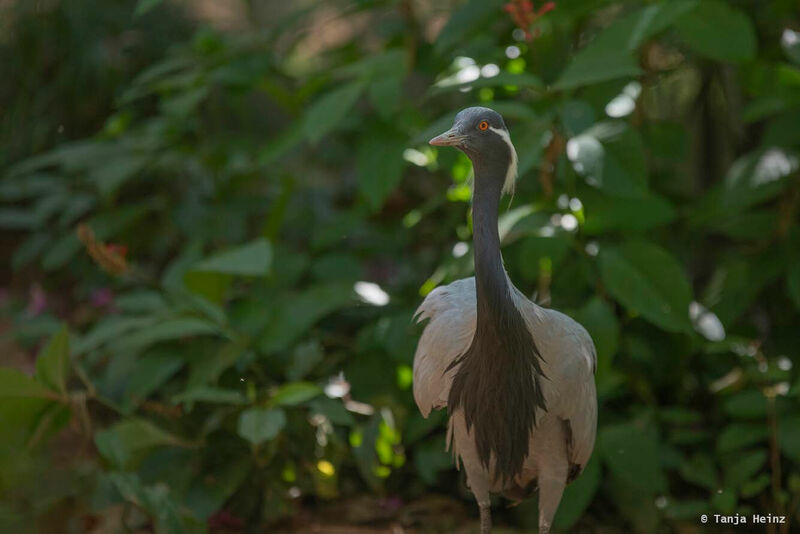 Before I show you the birds I have seen in Parque das Aves I would like to tell you first a little bit more about the history of Parque das Aves. Tip: If you want to know more about some of the conservation projects, please visit their websites. 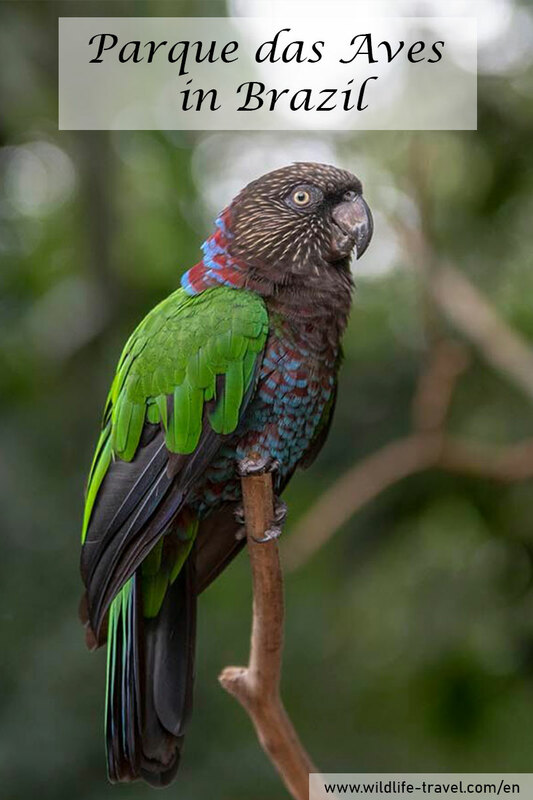 Parque das Aves supports for example the Projeto Papagaio-verdadeiro and the Projeto Papagaio-chauá to protect turquoise-fronted amazons and red-browed amazons, respectively. 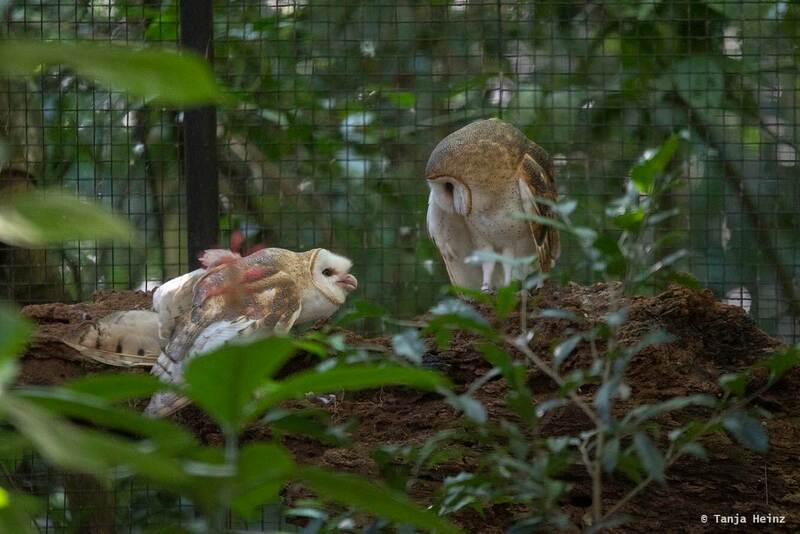 They also help the Projeto Harpia for the conservation of harpy eagles. 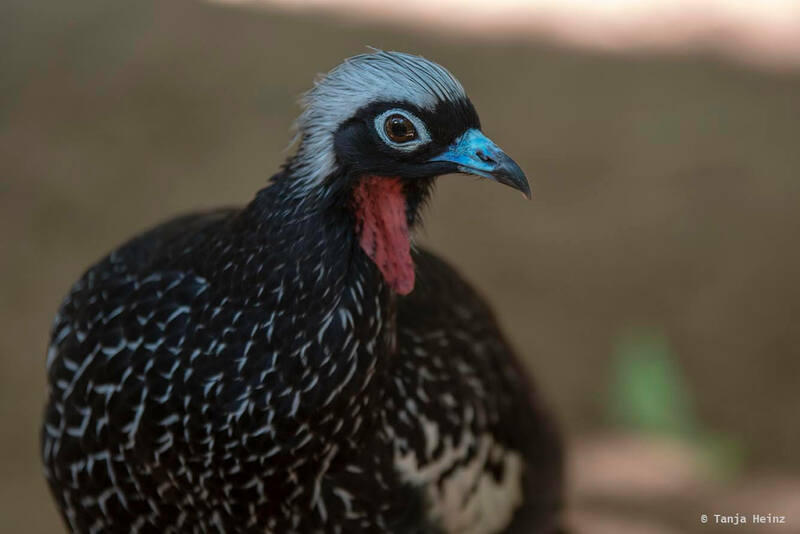 The bird park Parque das Aves was created by the veterinarian Anna from Germany and the entrepreneur Dennis from Zimbabwe. The whole journey started in the mid 70s when Anna moved to Zimbabwe where she met Dennis. They married and got two children, Anna-Luise and Carmel. Their life got a new direction when Anna received an African grey parrot which she named Pumuckl. Soon after that Anna got more and more African grey parrots to care for. In the 90s the family moved to Isle of Man in Britain. However, as a friend of Dennis invited him to open up a crocodile park in Foz do Iguaçu, the family had itchy feet again. Dennis liked the idea, but he actually preferred birds, and thus, the family started with their plans for Parque das Aves. They bought a large estate close to the Iguaçu Falls. For Anna and Dennis it was very important to carefully plan their park as they wanted to avoid cutting native trees. At the early beginnings the family led a life between the Isle of Man and Foz do Iguaçu. Dennis and Anna were very enthusiastic about their park. They spent all their savings for Parque das Aves. In November 1993 the construction of the bird park started. 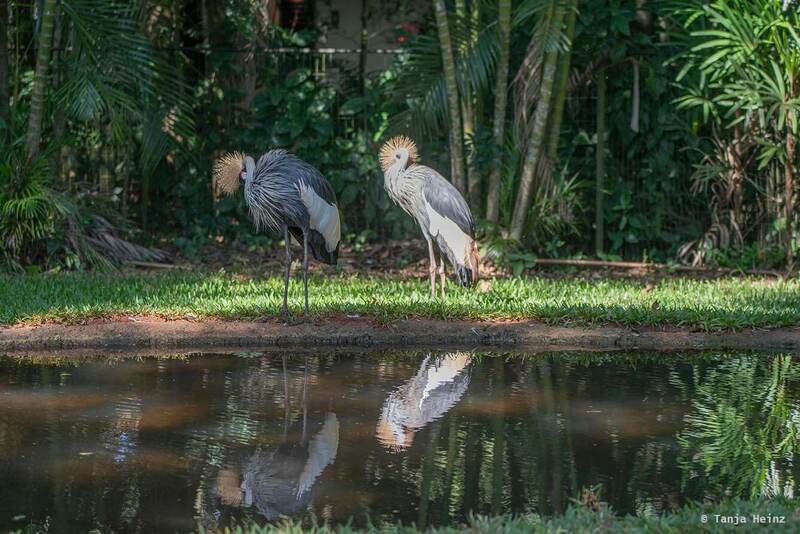 Unlike today, the first birds in the park were donations or came from other Brazilien zoos. 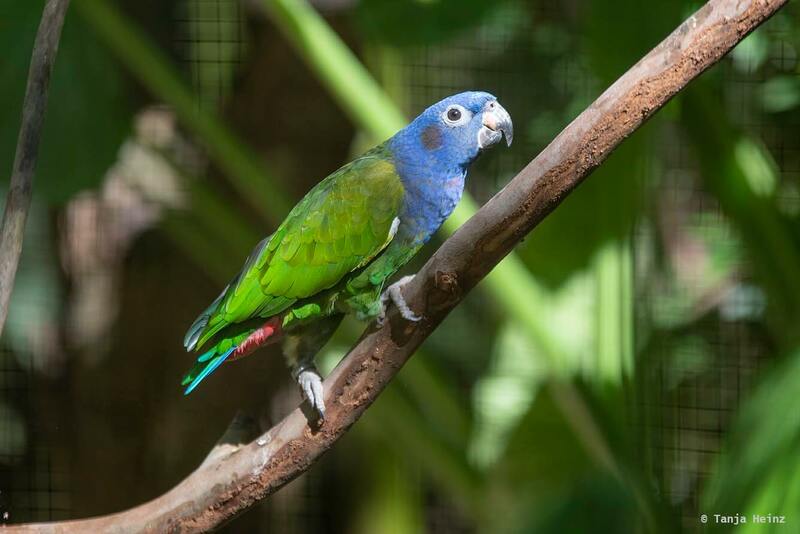 They even imported subtropical birds from other continents in the early beginnings. 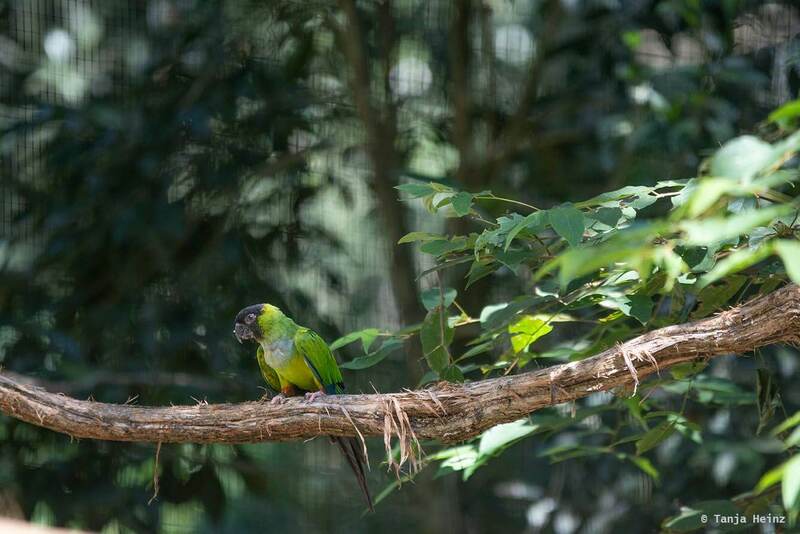 Today, the bird park focuses – as mentioned above – on native Brazilian birds in order to promote their conservation. Parque das Aves opened in October 7, 1994. Unfortunately, Dennis became very ill only one year after the opening. Two years later he died on Isle of Man. After his death Anna and their two daughters were alone, but they received a lot of help from other people to continue with the bird park. 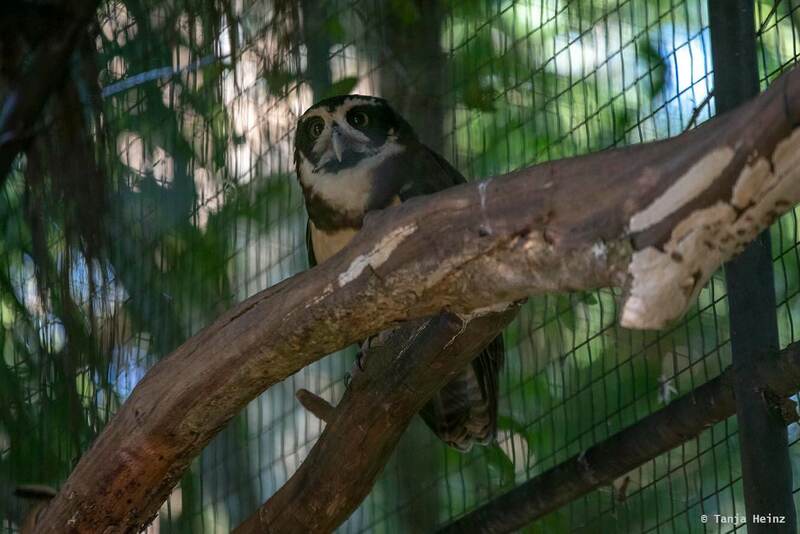 They needed their help, because more and more abused birds arrived in the park, including threatened species. Thus, the family intended to expand their conservation work. 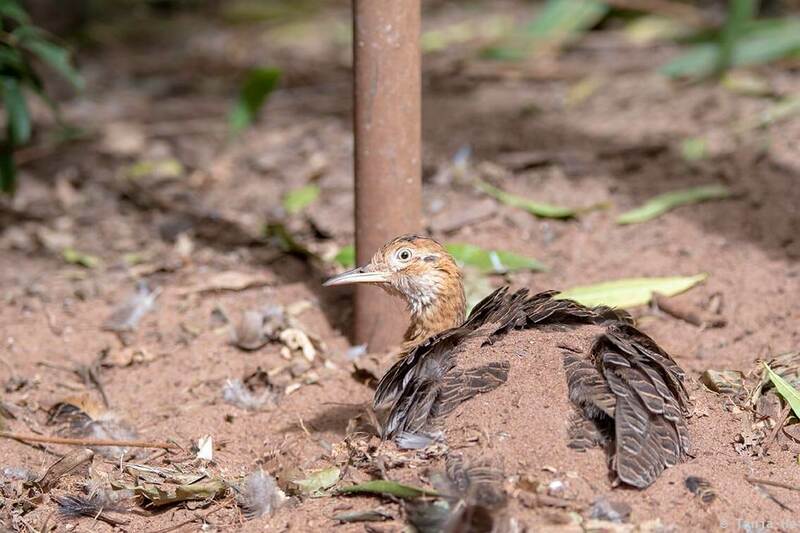 Nowadays, their conservation work includes the rehabilitation of rescued birds and provide a home for those that cannot be returned back into their natural environment, but also research, education, training teachers and raising money for various conservation programs. 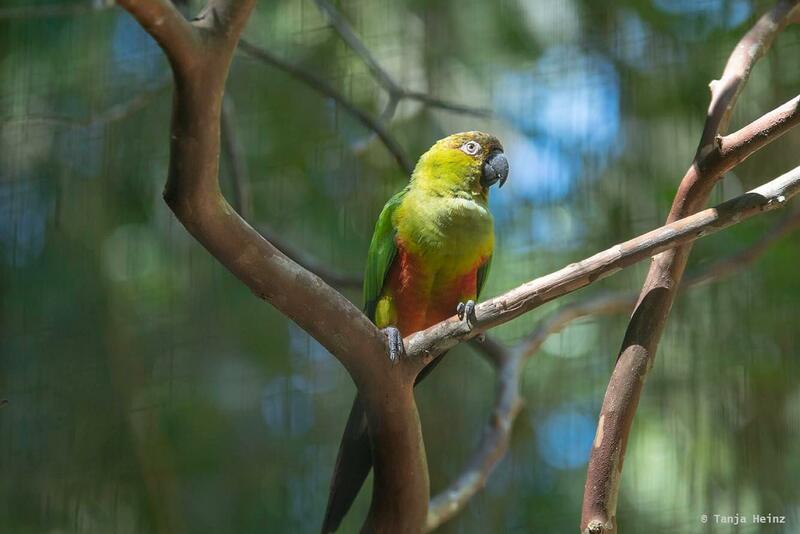 Today the bird park is led by one of the daughters of Anna and Dennis, Carmel. 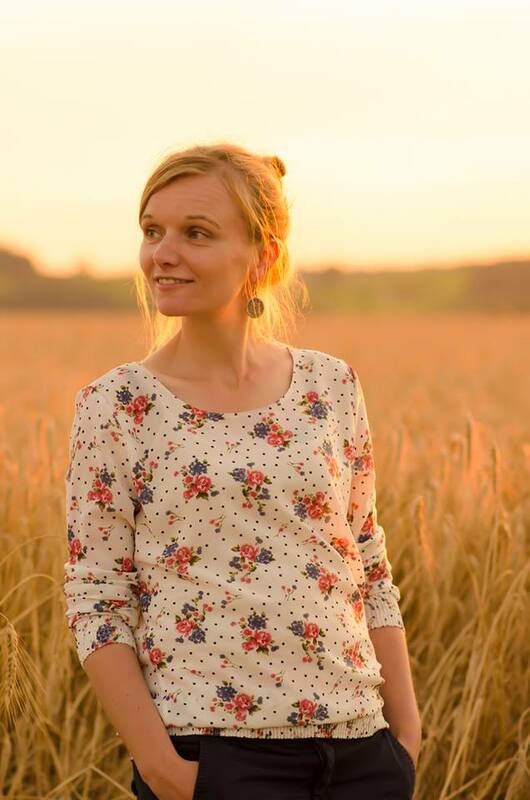 She is the CEO since 2010. 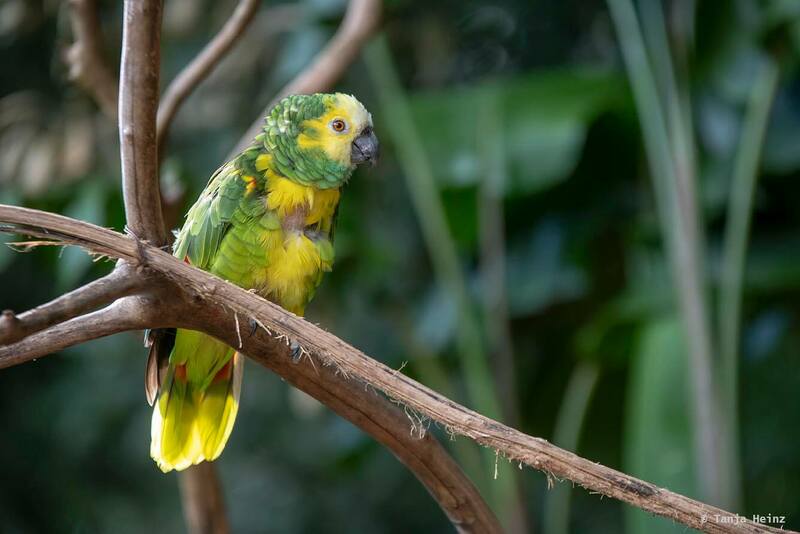 In the following paragraph you will read more about the bird species you can see in Parque das Aves. 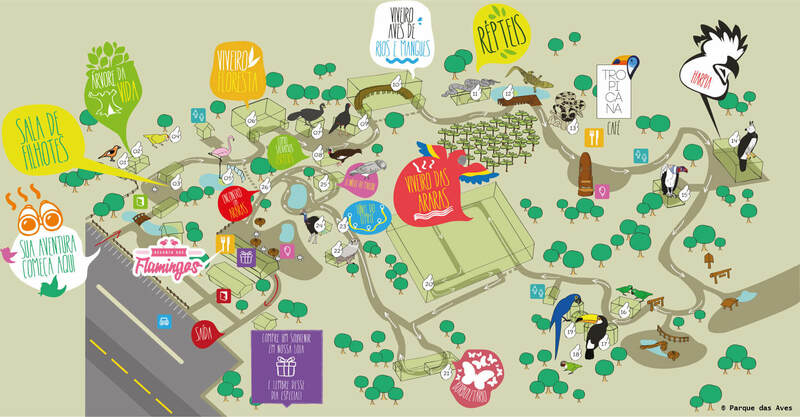 The following map gives you an overview about the bird park. 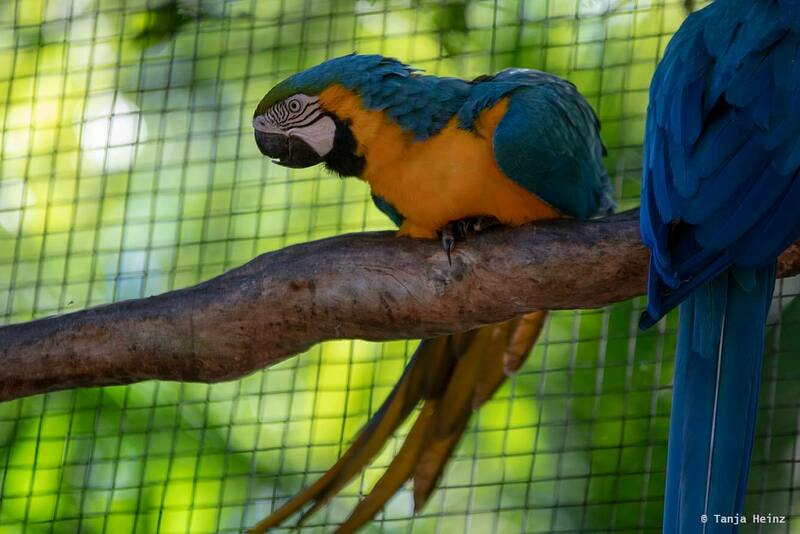 In the bird park you will find a great variety of different bird species. Many of them from the Atlantic Forest. 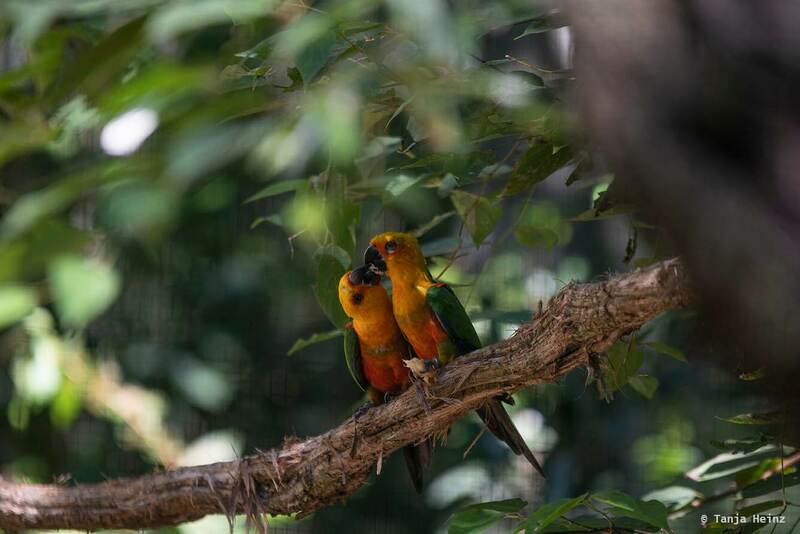 Most bird species I saw came from the parrot family. They also have quite many flamingos, some toucans or guans and many, many more birds. Some of them are even endangered. 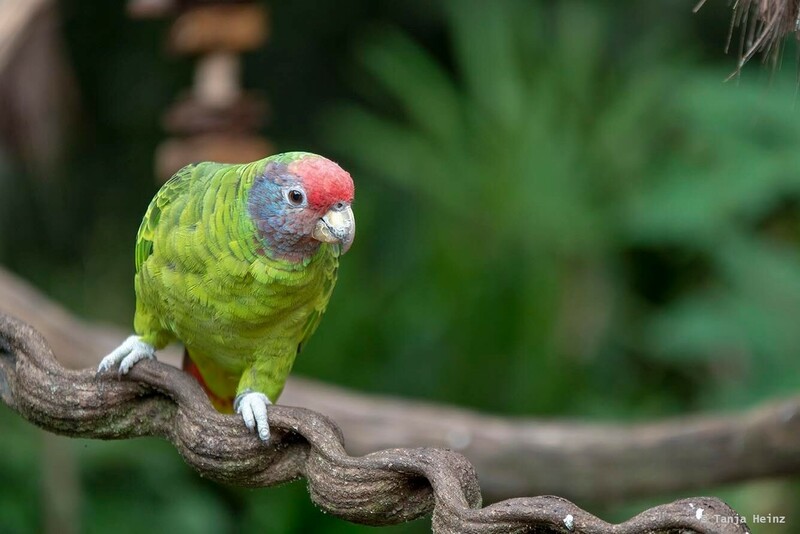 If you enter Parque das Aves and follow the signs, one of the first parrots you will see are those of Parrots Island. 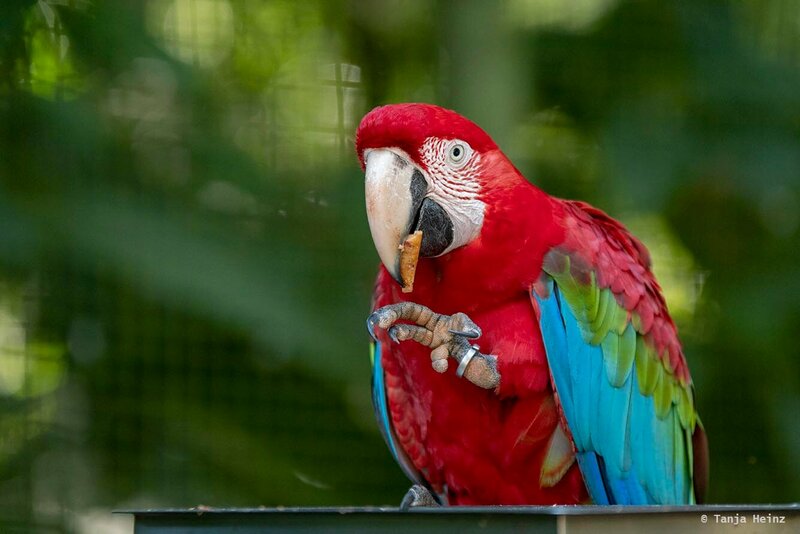 At exactly this place you will learn more about one of the missions of the bird park: rescuing birds from illegal trade and mistreatment. 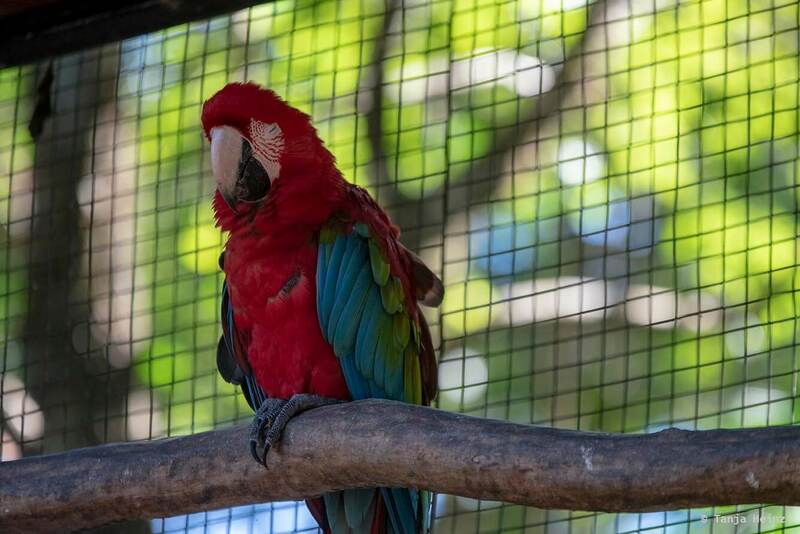 There is no cage or aviary at Parrots Island. The birds could fly away if they wanted to or could. 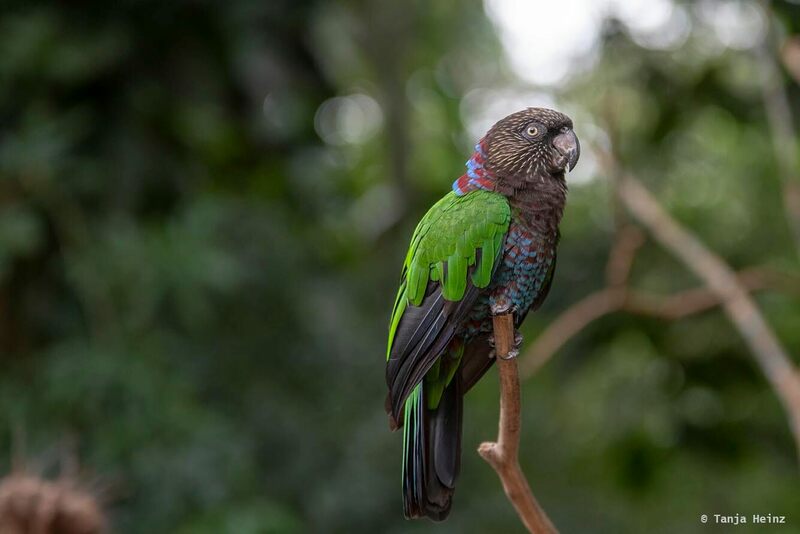 Only a biologist stays close to Parrots Islands to inform visitors about threats parrots are exposed to. 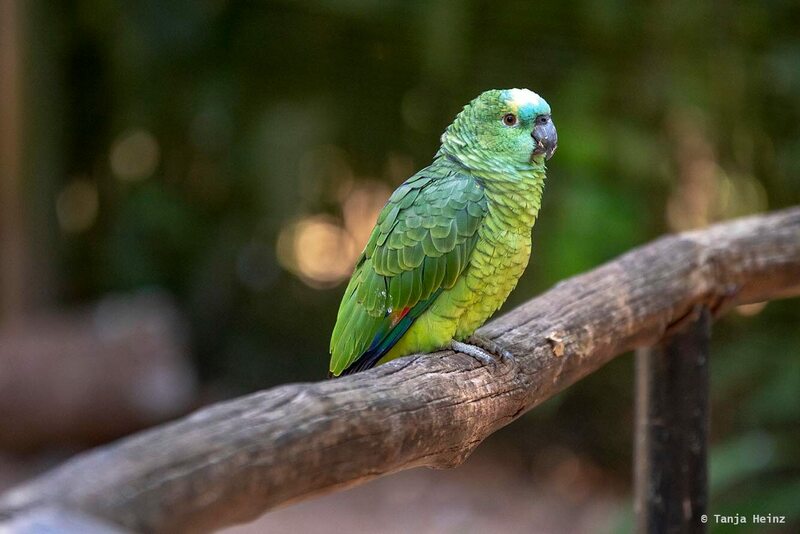 Most parrots that come from animal trafficking or mistreatment cannot be returned to the wild, and thus, get a new home in Parque das Aves. You can see some of them at Parrots Island. At this place I learned that about 6 million animals are captured each year in Brazil and that it is a very profitable industry (900 million Dollars of profit each year). The saddest thing about all this is, that only 1 wild animal out of 10 survives. If you continue at Parrots Island you will get to a great variety of other birds. Flamingos, guans or eagles. 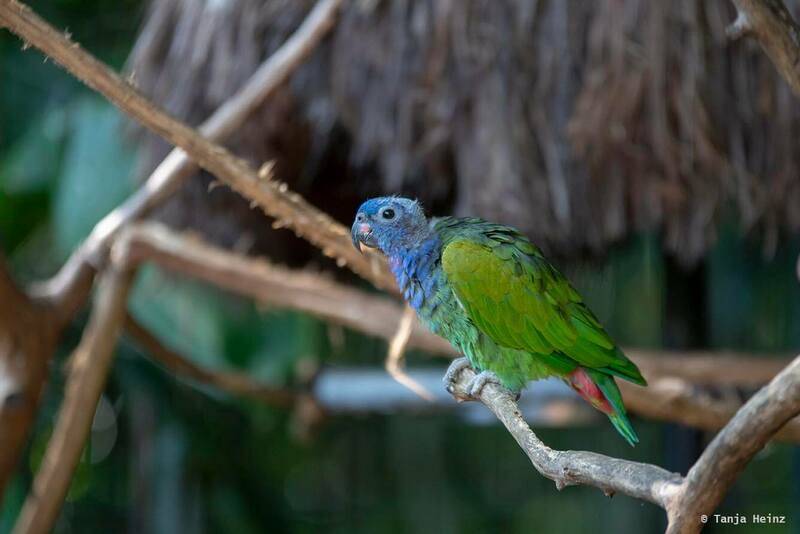 But later you will also get to another aviary with some more parakeets. By all means, I could not see every parakeet in the aviary. So this is just a short selection. I couldn’t find out the species names of the following two birds. Please write in the comments if you know their names. 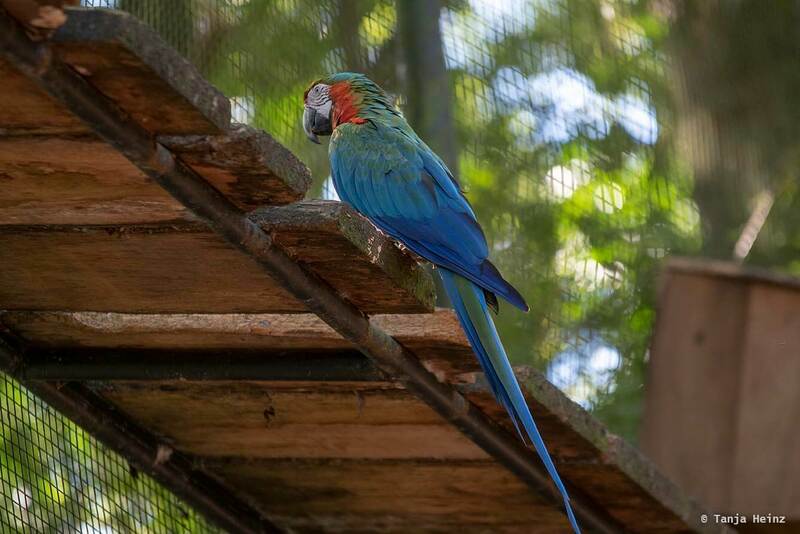 If you pass the area with the parakeets you will get to the largest aviary of Parque das Aves where mainly macaws live. Most of them were sitting on some wooden panels looking down to us visitors. 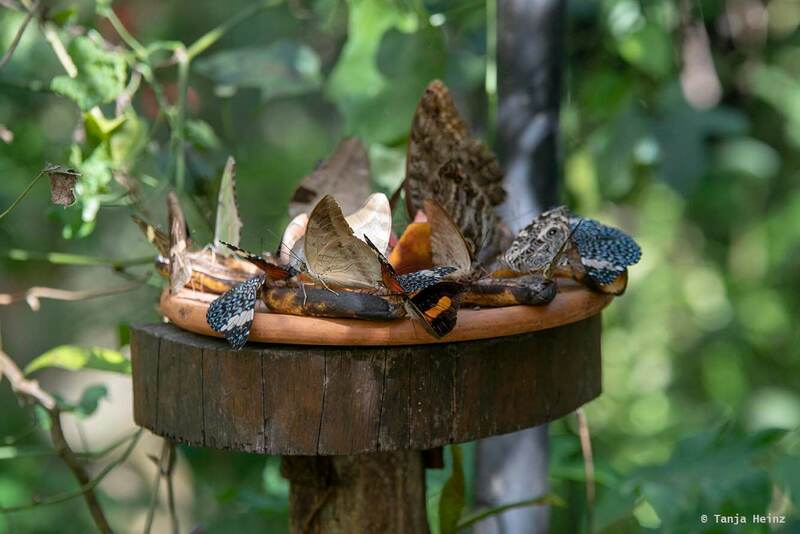 You can stay there for some time observing them and listening to their croaking and squawking sounds. Due to interbreeding some birds where a mixture of different species. 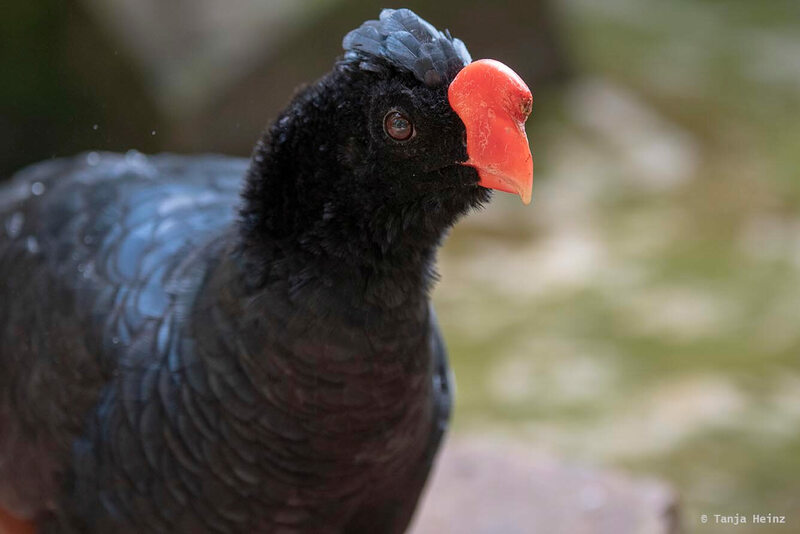 Guans and curassows are very typical birds in Brazil as these birds live in tropical and subtropical regions of Central and South America. 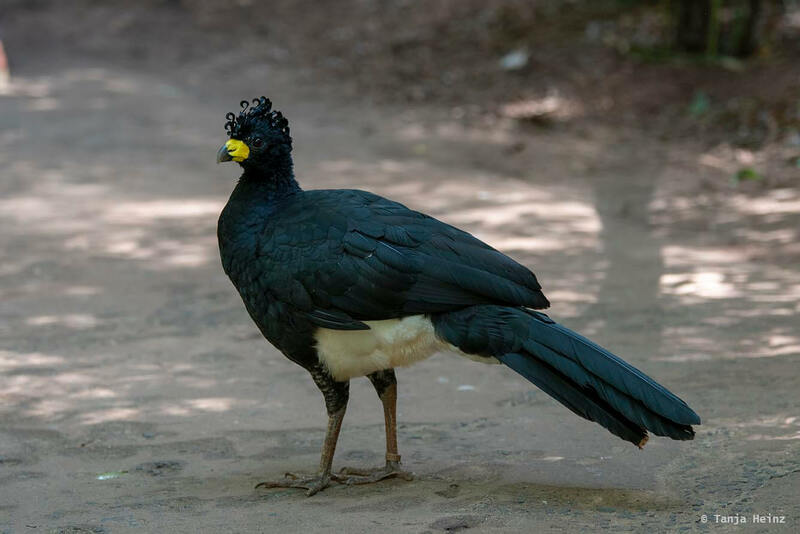 I met one of these birds for the first time in the Itatiaia National Park where I observed some dusky-legged guans (Penelope obscura) just in front of a hotel. In Parque das Aves I saw three different species. 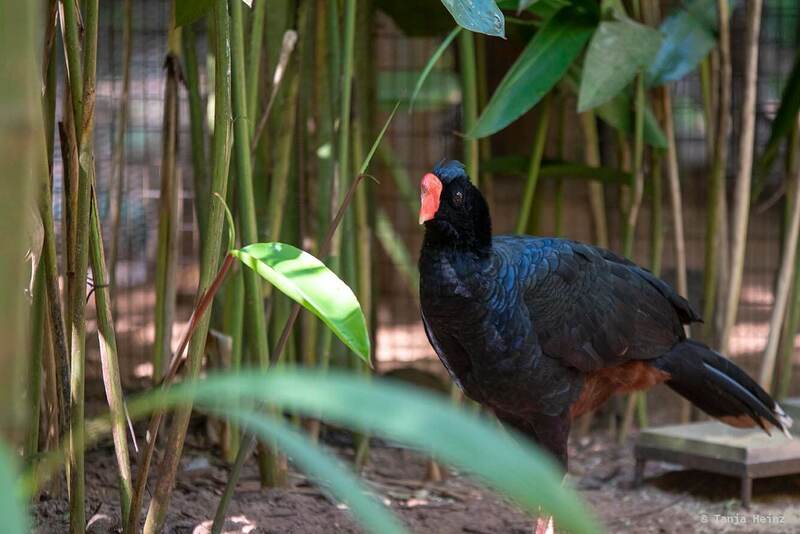 Razor-billed curassows, bare-faced curassows and black-fronted piping guans. 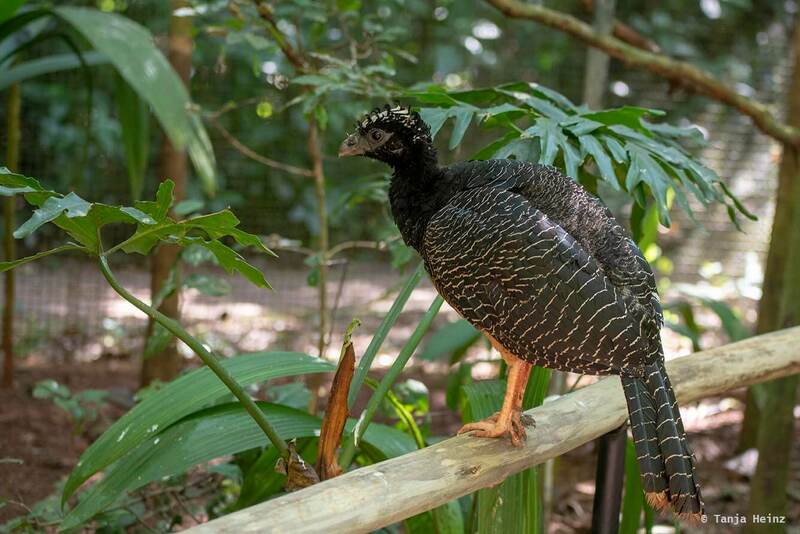 Parque das Aves also provides a home for Alagoas curassows (Pauxi mitu) – a bird which is already extinct in the wild. 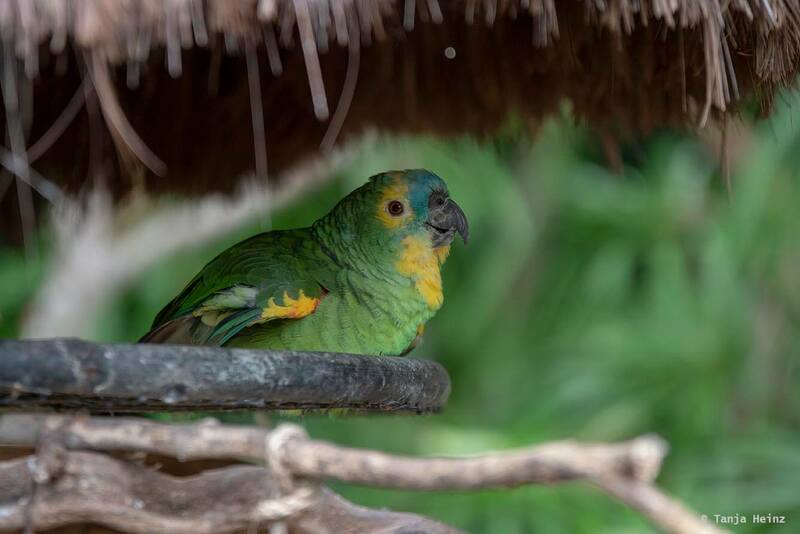 The bird park works against the extinction of this bird species by participating in the program „Programa de Cativeiro do Mutum-de-alagoas“. Their aim is to increase the population in captivity to release them in future into the wild again. 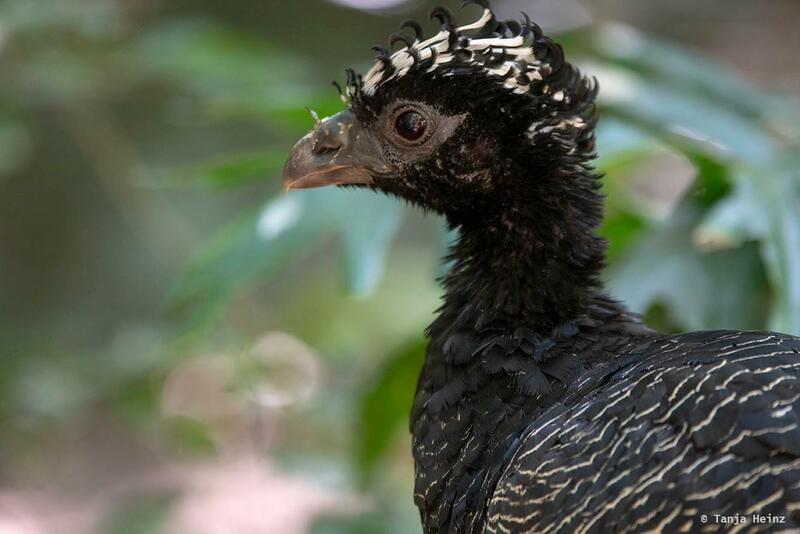 I did not see Alagoas curassows in Parque das Aves, just razor-billed curassows which look quite similar to Alagoas curassows. 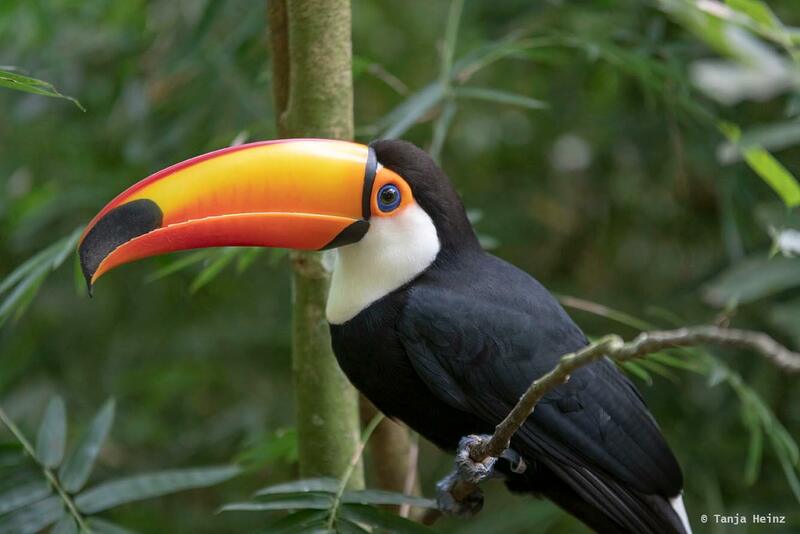 Toucans are like guans and curassows restricted to tropical regions in Central and South America. They are very colorful birds, and thus, very conspicuous. 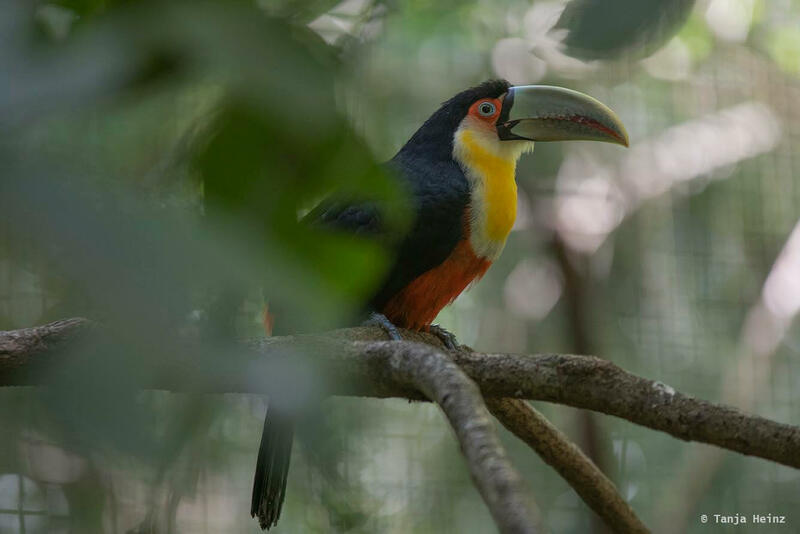 I saw toucans in the wild in Brazil, but never that close like in Parque das Aves. 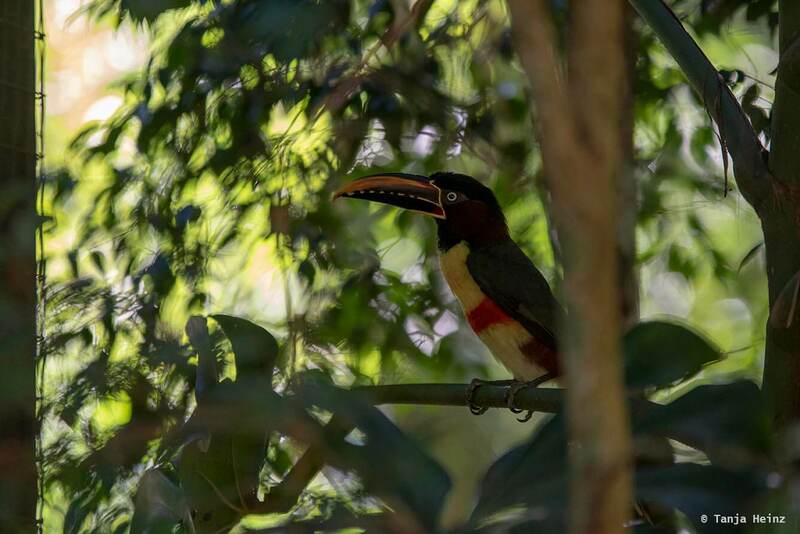 I observed a saffron toucanet (Pteroglossus bailloni) and a red-breasted toucan (Ramphastos dicolorus) in the Itatiaia National Park and a chestnut-eared aracari (Pteroglossus castanotis) close to the Iguaçu Falls on the Brazilian side and toco toucans (Ramphastos toco) on the Argentinian side of the waterfalls. Furthermore, I met a channel-billed toucan (Ramphastos vitellinus) in the Botanical Gardens in Rio de Janeiro. 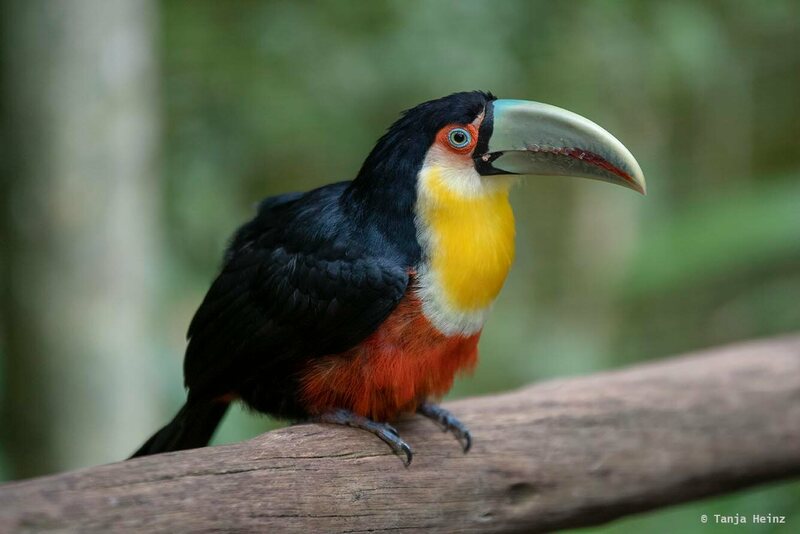 In Parque das Aves I saw actually again a wild toucan or chestnut-eared aracari, respectively. 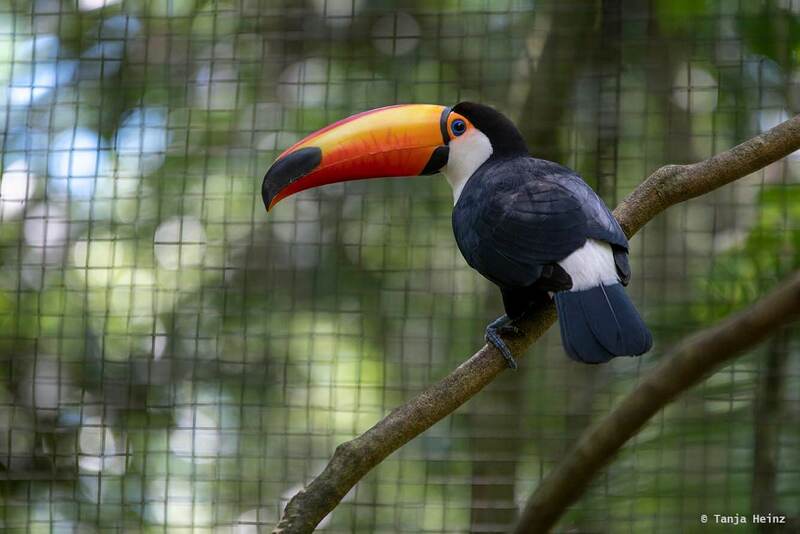 The other two toucans lived in aviaries. 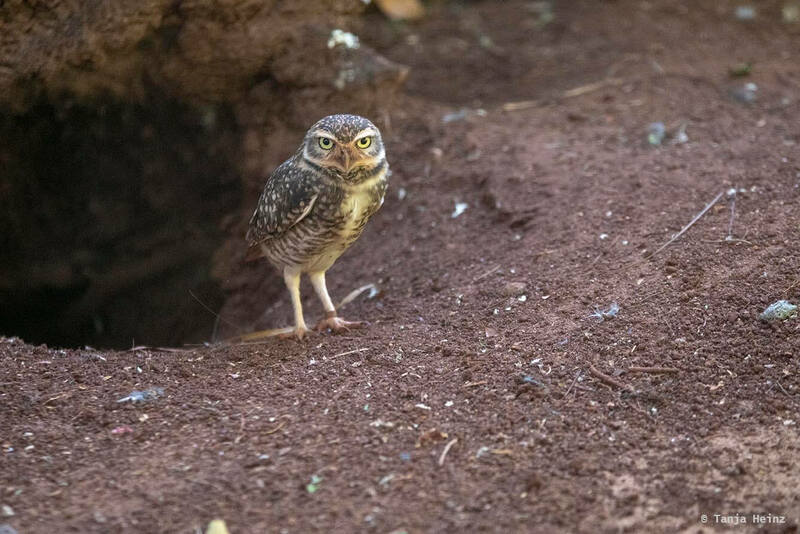 Burrowing owls are one of my favorite birds. Unfortunately I haven’t seen any of these birds in the wild in Brazil. If you know a good place to observe them, please let me know. 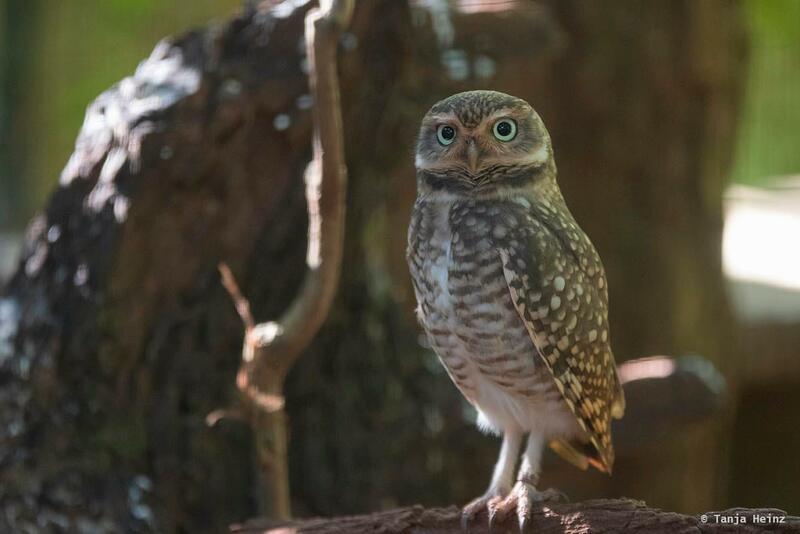 I actually haven’t seen any owl in the wild during my journey through the south of Brazil. However, I also have to say that I was not on any night walk neither. 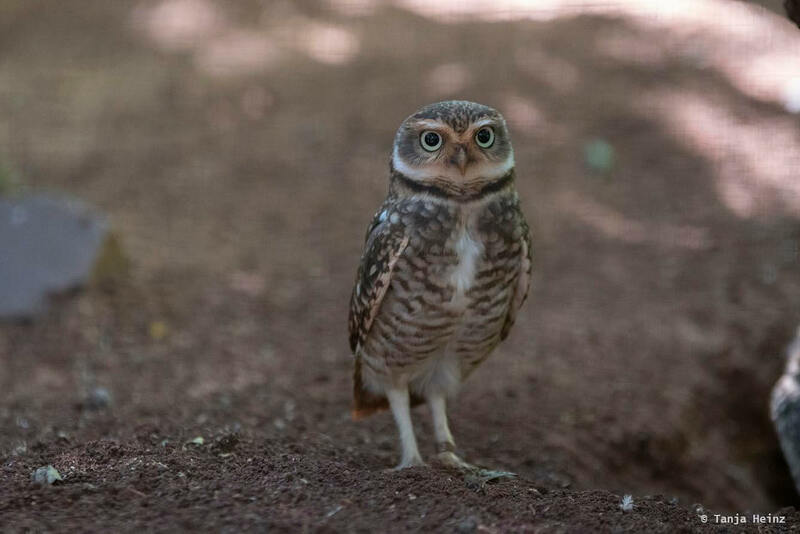 Most owls are nocturnal (although burrowing owls sometimes hunt during the day). 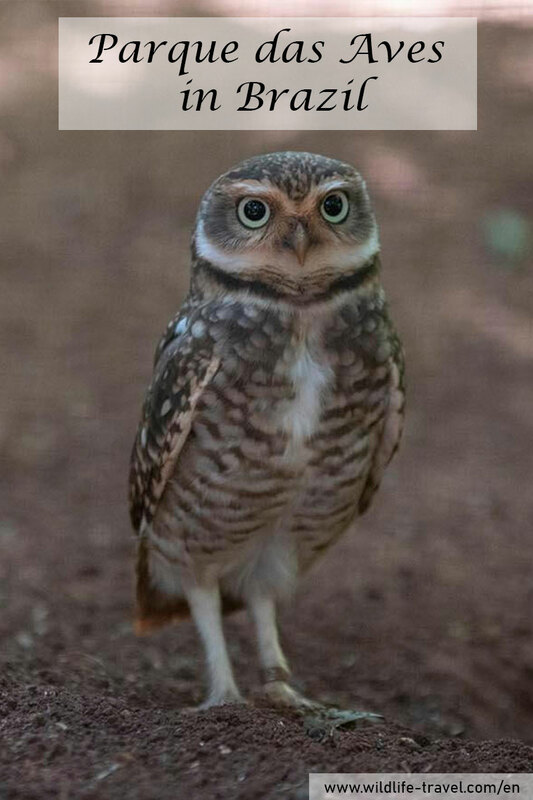 Nevertheless, I saw burrowing owls, but also striped owls, spectacled owls and barn owls. 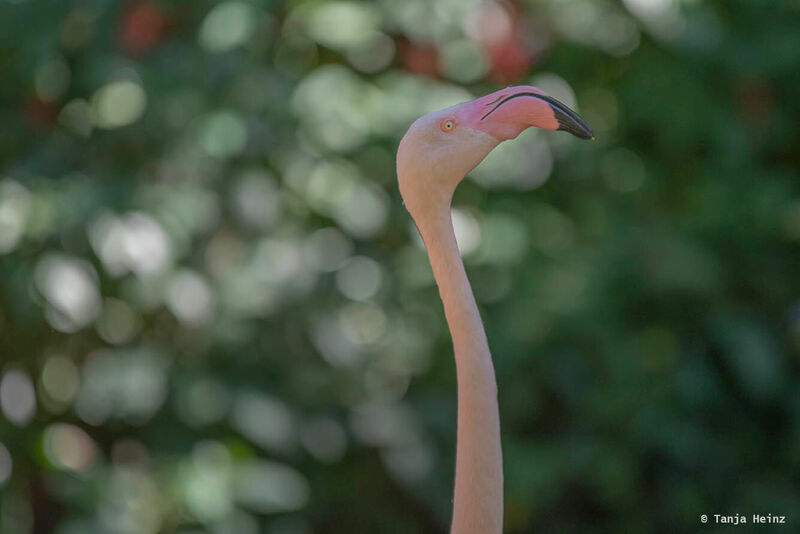 The bird park has two species of flamingos. The Greater flamingo (Phoenicopterus roseus) and the Chilean flamingo (Phoenicopterus chilensis). The enclosures with the flamingos are just next to Parrots Island. 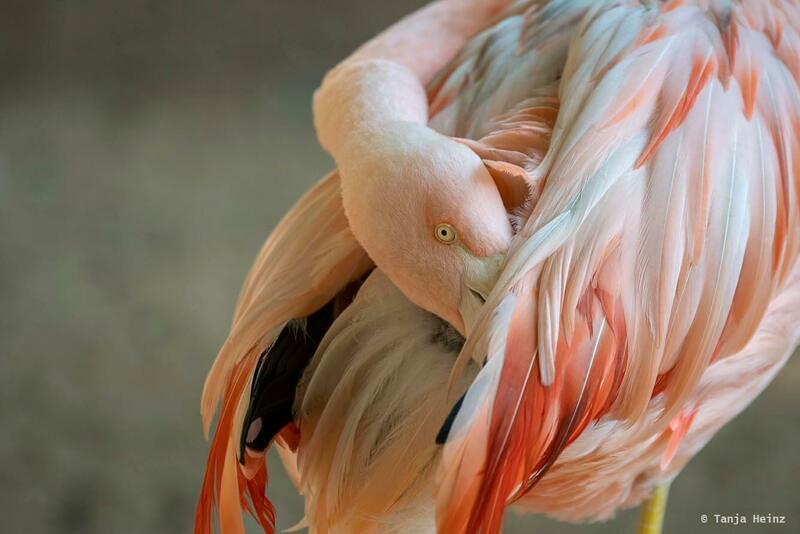 Greater flamingos are naturally home in parts of Africa, Asia and even Europe. 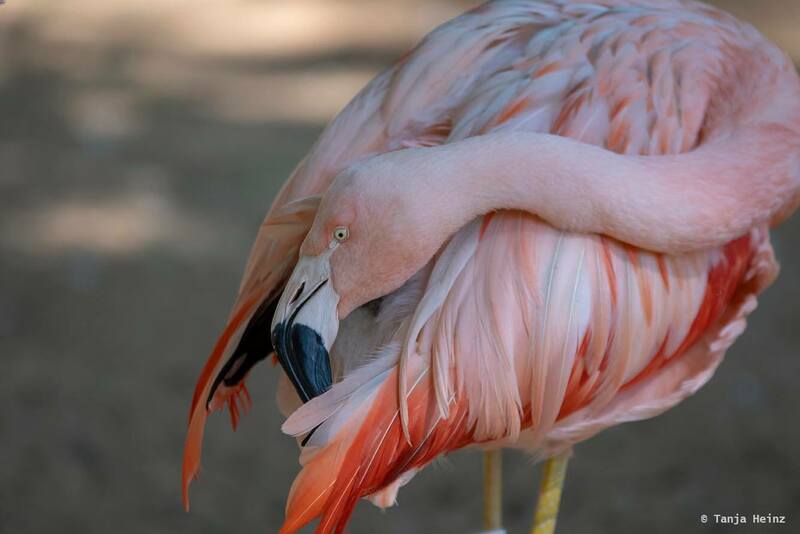 In contrast, Chilean flamingos live primarily in the Southern regions of South America like Chile and Argentina. 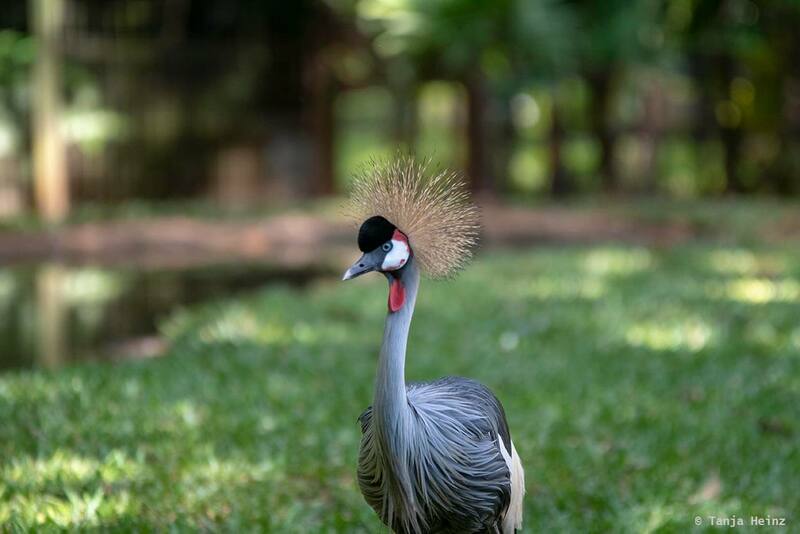 Just opposite of the flamingos you will find grey crowned cranes and demoiselle cranes. 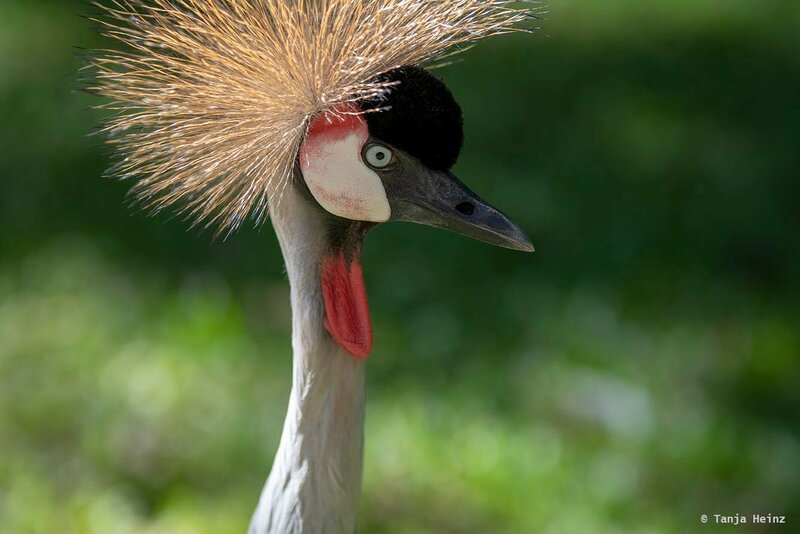 Grey crowned cranes do not naturally occur in South America, but in Africa. Demoiselle cranes in contrast live normally in Asia. With respect to screamers there is only one out of three species of this bird family in Parque das Aves. 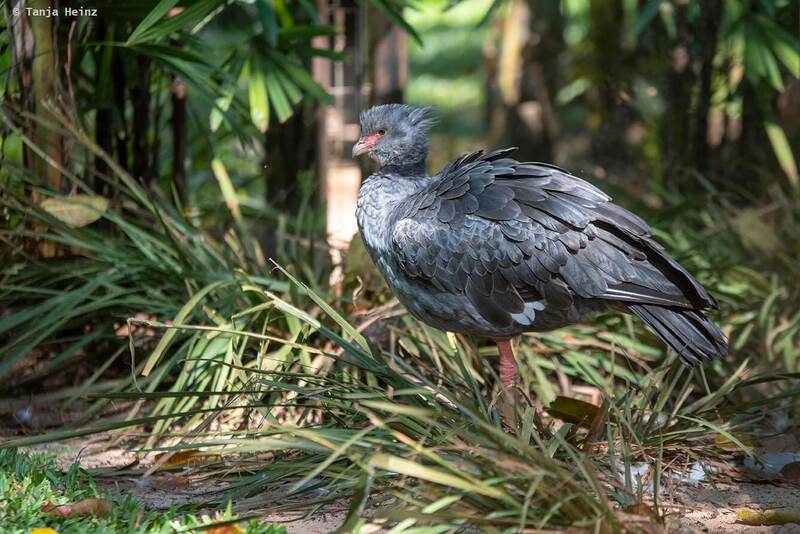 And that is the Southern screamer. 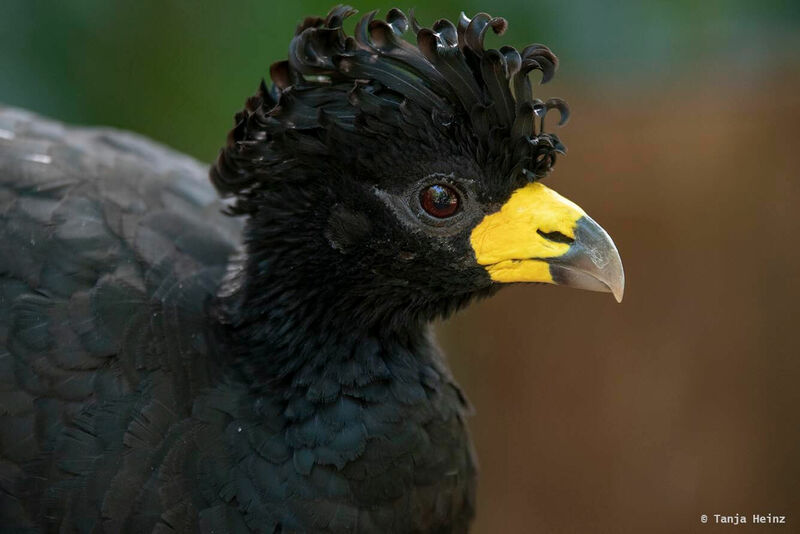 Naturally, these birds live in central South America, including Brazil. Rails are distributed worldwide. 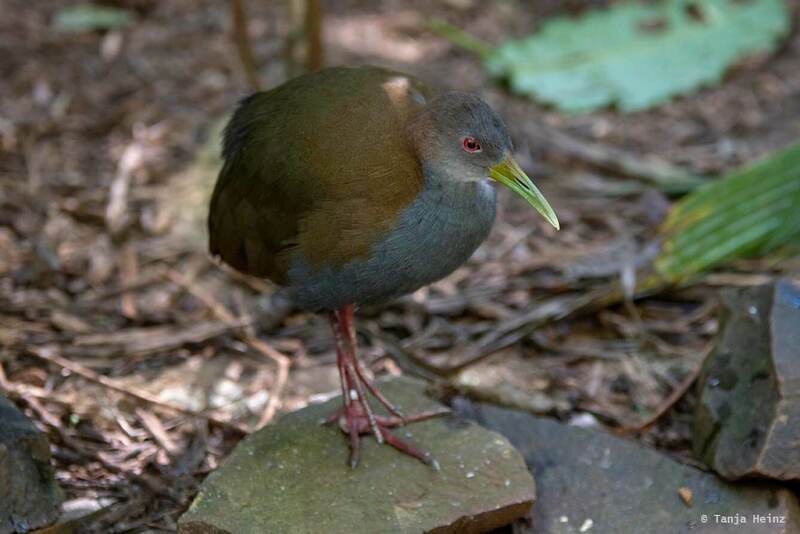 However, the slaty-breasted wood rails which I saw in Parque das Aves occur only in the Atlantic Forest in Southern Brazil, Paraguay, and Northern Argentina. 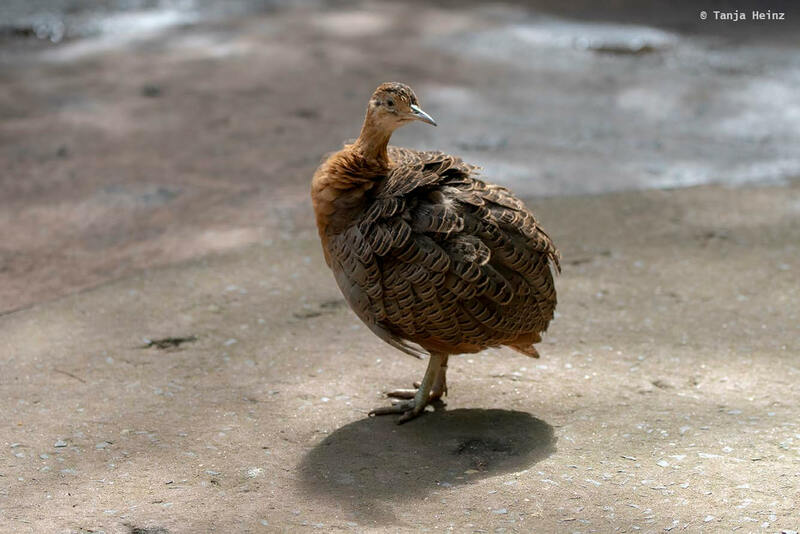 In Parque das Aves are two species of tinamous. 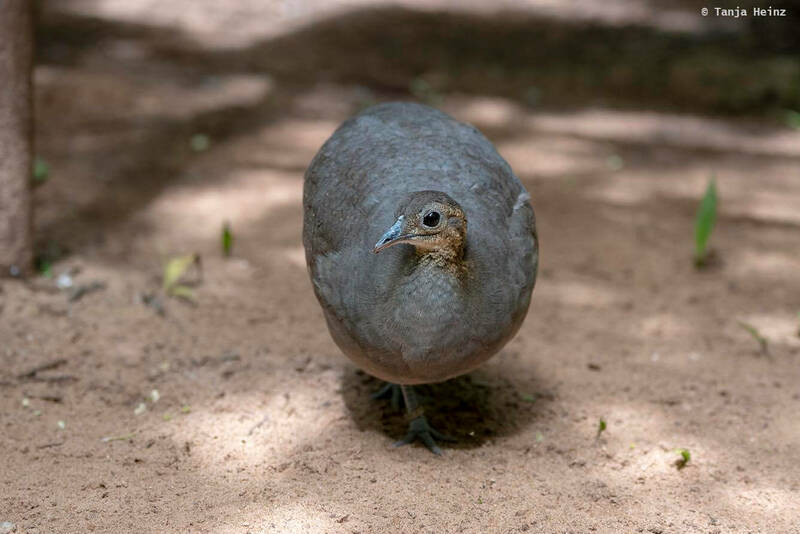 The red-winged tinamous and the solitary tinamou. Tinamous are birds of Central and South America. 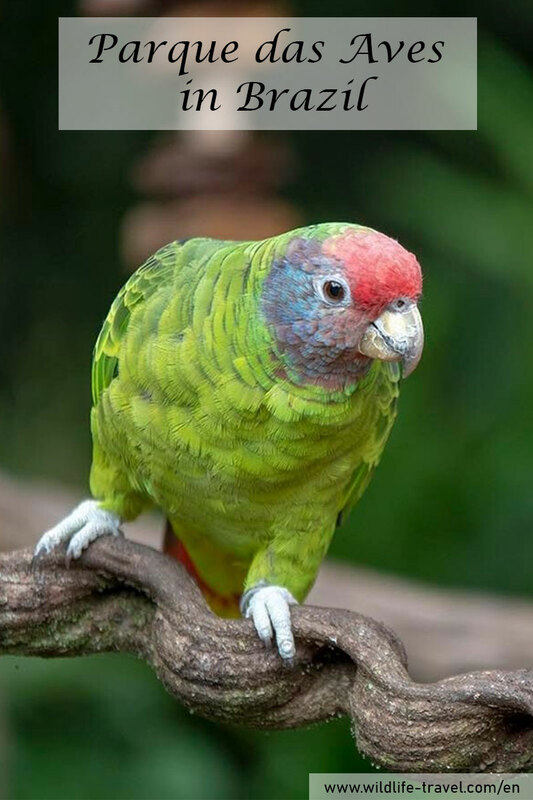 Both species live naturally in Eastern South America including Brazil. Herons have a worldwide distribution. I saw many herons in the wild in Brazil in the Pantanal. 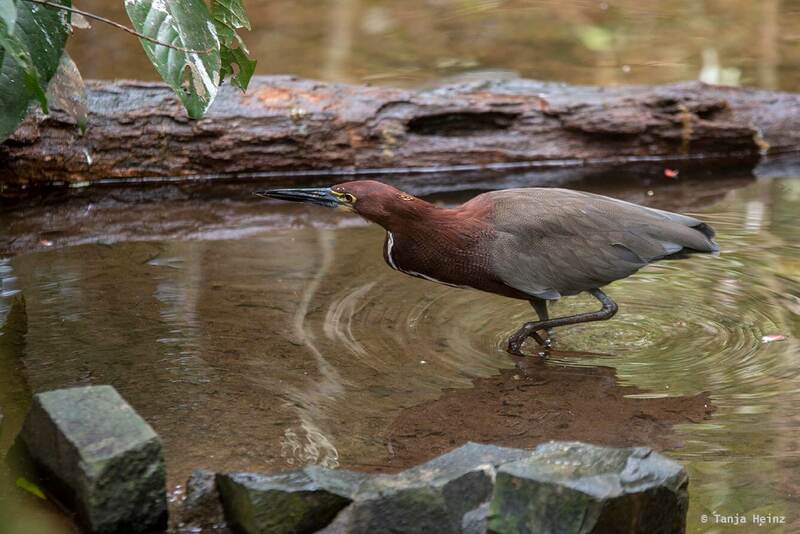 In the bird park in Foz do Iguaçu I saw a rufescent tiger heron which lives only in Central and South America. 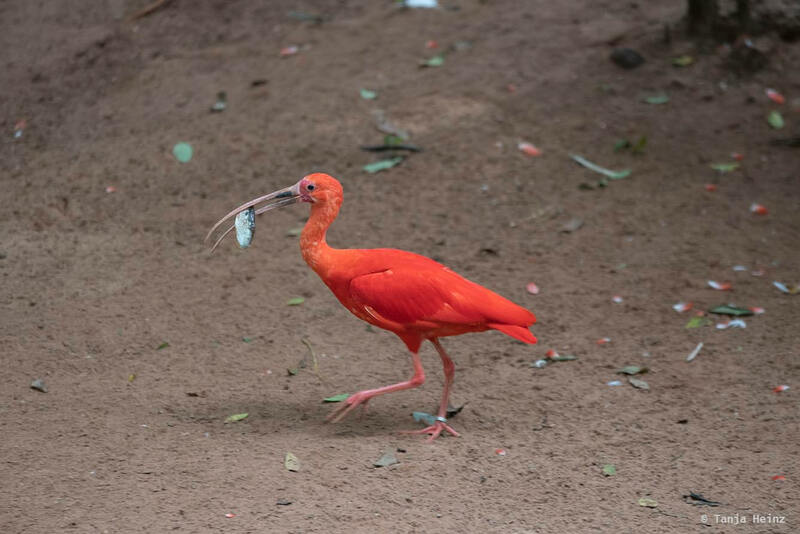 In Parque das Aves live some scarlet ibises. 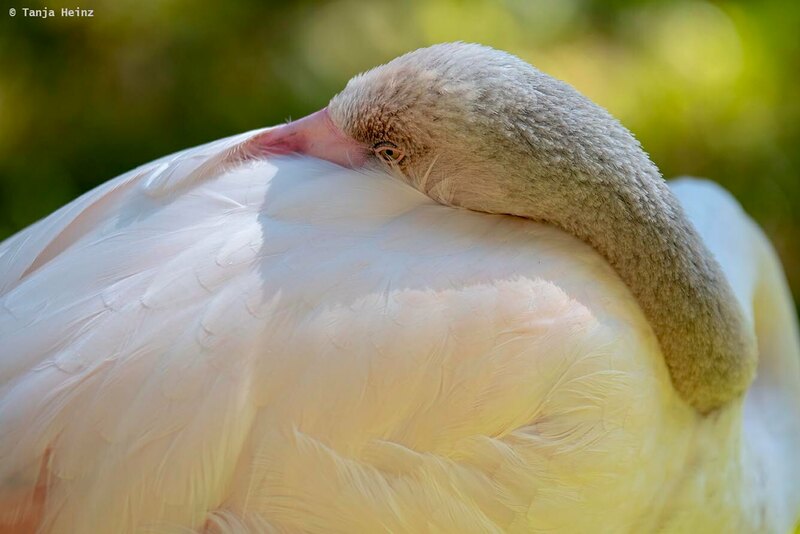 Ibises have a worldwide distribution and prefer tropical, sub-tropical and warm-temperate climates. 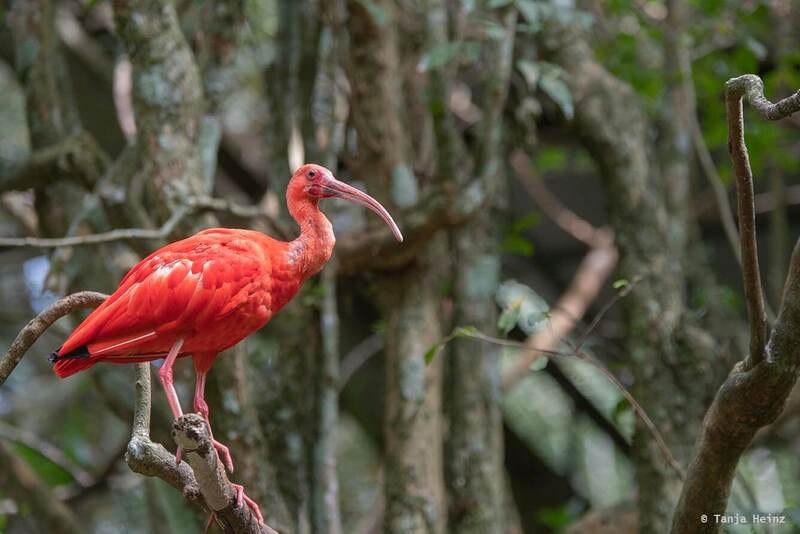 Scarlet ibises naturally occur in South America and in the Caribbean. As the family name already suggests, New World vultures occur only in the Americas. I saw one of them in Parque das Aves. 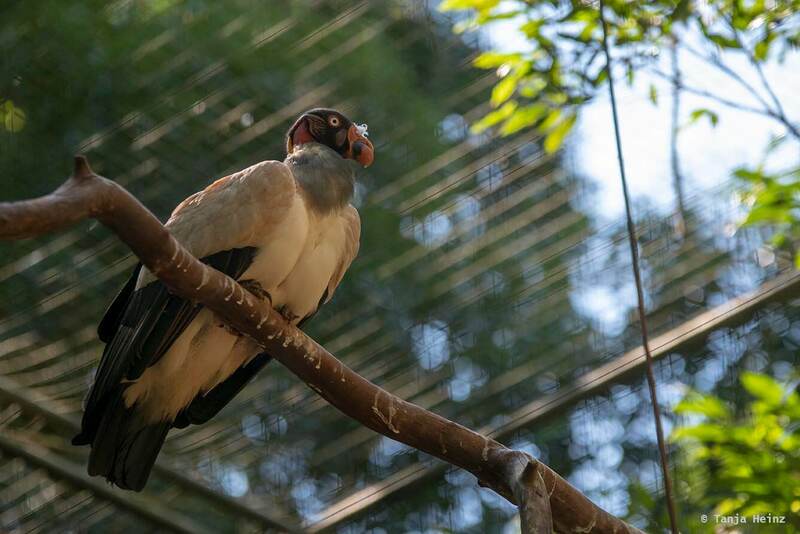 And this was a king vulture which is naturally distributed in Central and South America. 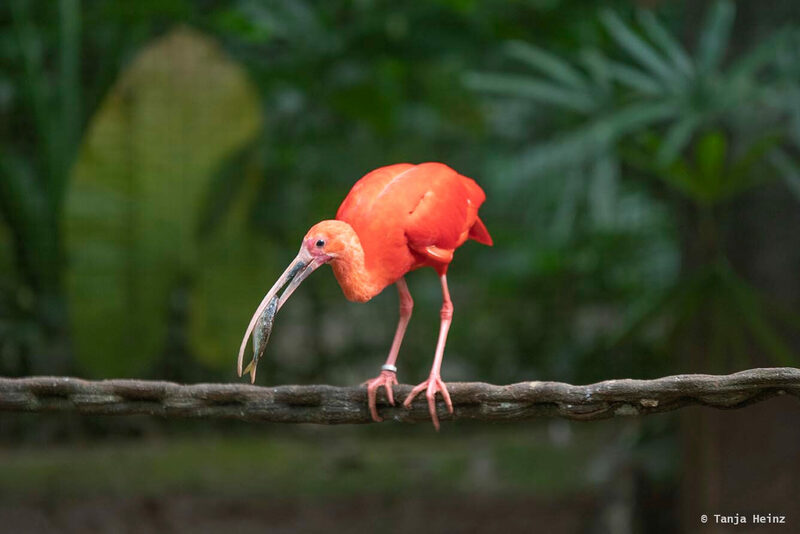 This bird family has a worldwide distribution and includes many different species. One of them is the harpy eagle. The harpy eagle is a neotropical eagle, and thus, occurs only in Central and South America. 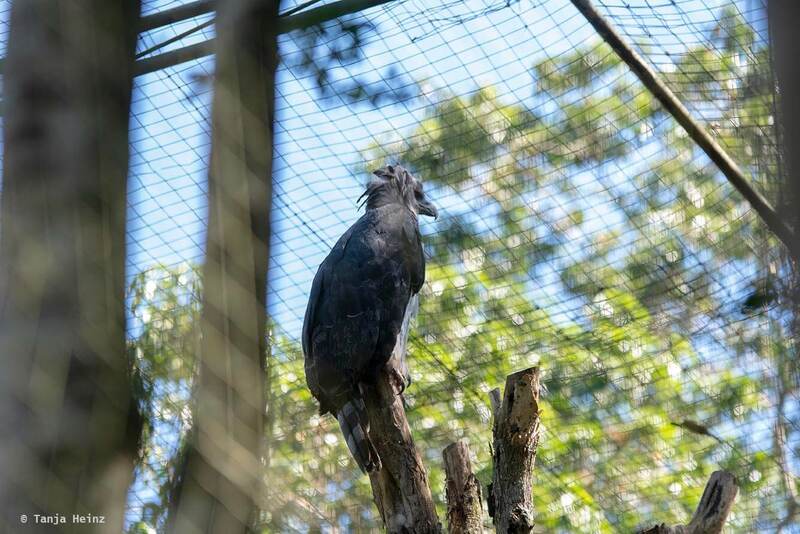 As harpy eagles are „Near Threatened” according to the IUCN and as it is a bird of Brazil, Parque das Aves supports conservation efforts to protect these eagles. Crows and rays or jays and many other birds of this family are well known. 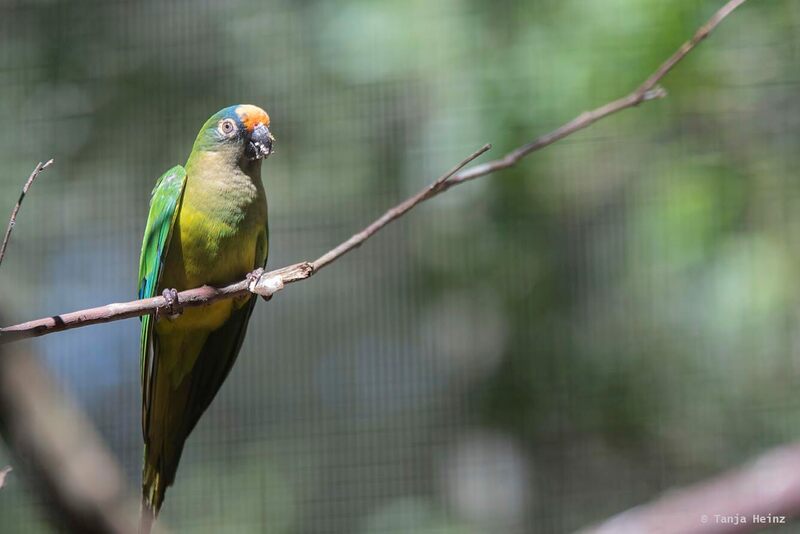 I saw one interesting bird of this family in one aviary. 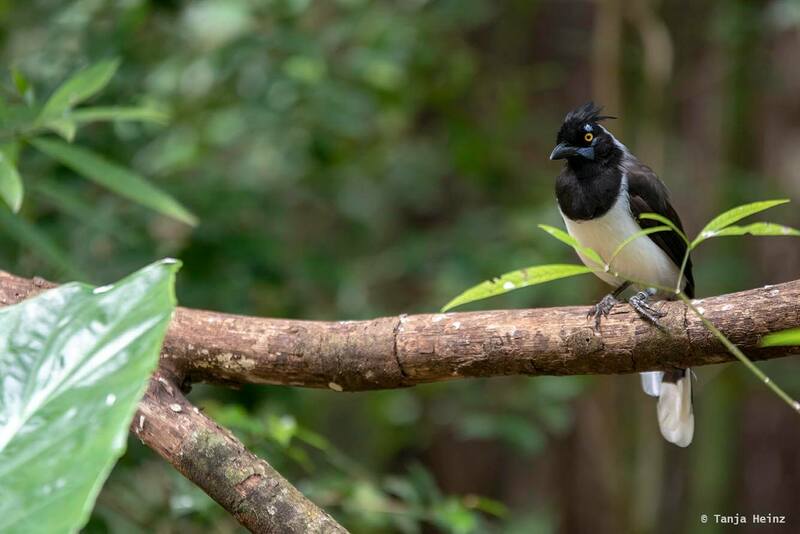 This was a curl-crested jay which lives only in South America. I haven’t seen any of them outside of the bird park, however, instead I saw a plush-crested jay visiting Parque das Aves. I also saw one of them just one day before at the Iguaçu Falls. All bird members of this family are flightless birds. 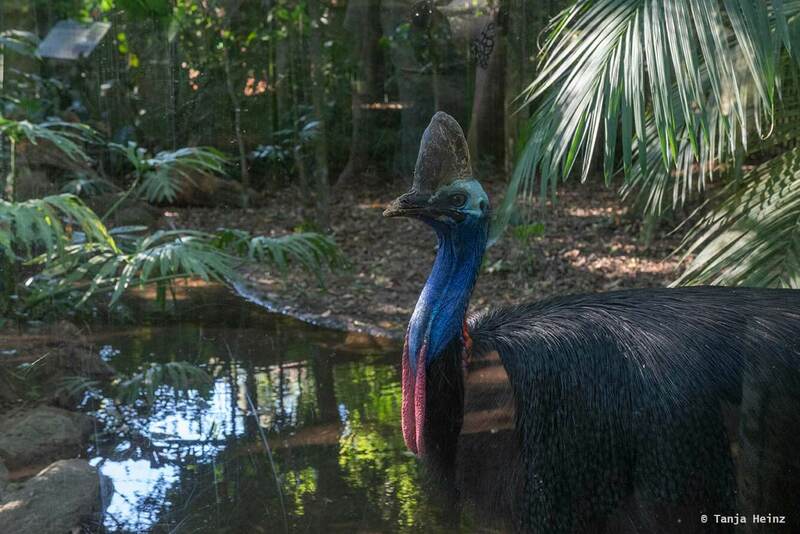 In Parque das Aves lives a Southern cassowary. They naturally live in Indonesia, New Guinea, and Australia. Tanagers are typical birds of the tropics. You can see them relatively often in Brazil. I had seen them already close to the Iguaçu Falls, but also at the Itatiaia National Park. 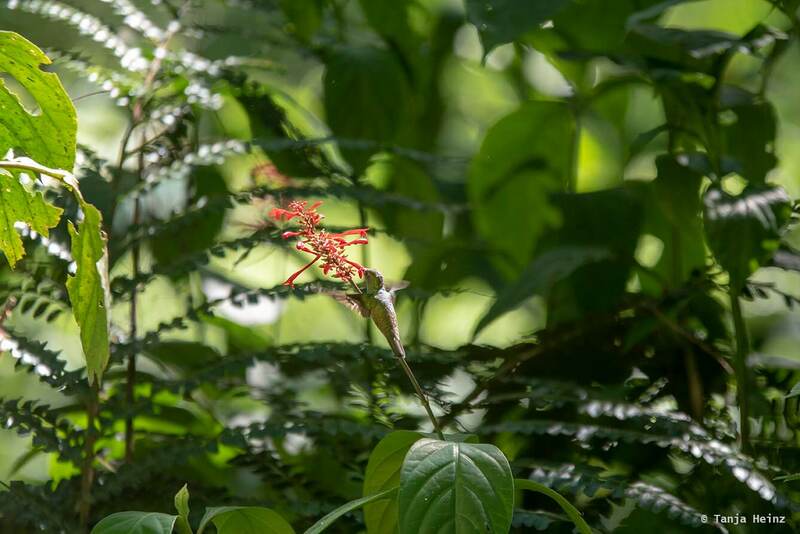 Identifying hummingbirds is probably one of the biggest challenge if you are not an expert in this. So far I could not identify the following bird. Please let me know which hummingbird it is if you know it. 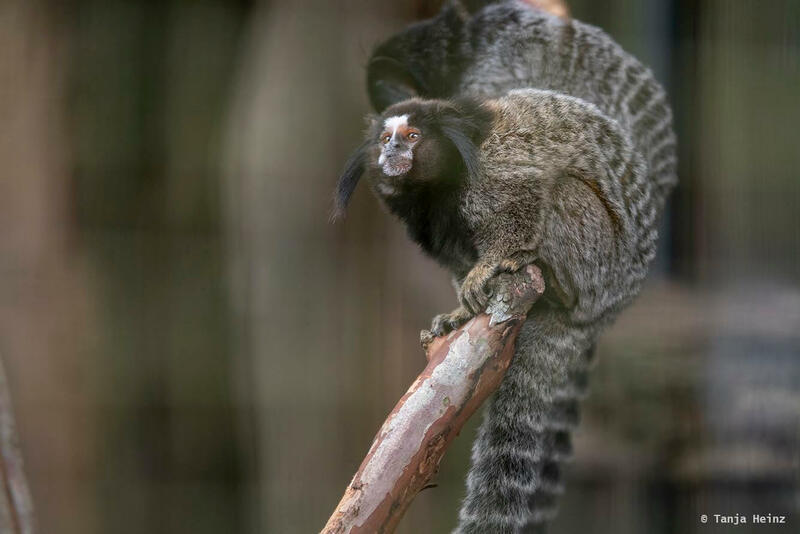 The first animals I encountered when we entered the bird park were actually not birds, but some marmosets or black-tufted marmosets, respectively. I haven’t seen any of them in the wild, however, I was searching for them in the Botanical Garden in Rio de Janeiro as I saw on iNaturalist that there was an observation of this species at this place. 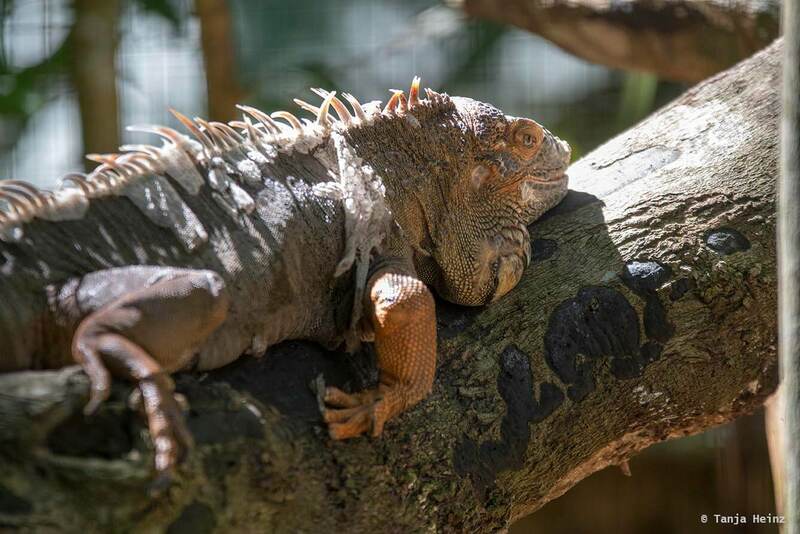 In the course of our tour through Parque das Aves we met some more animals like an iguana, a tortoise, many, many butterflies, a caiman, and a snake. 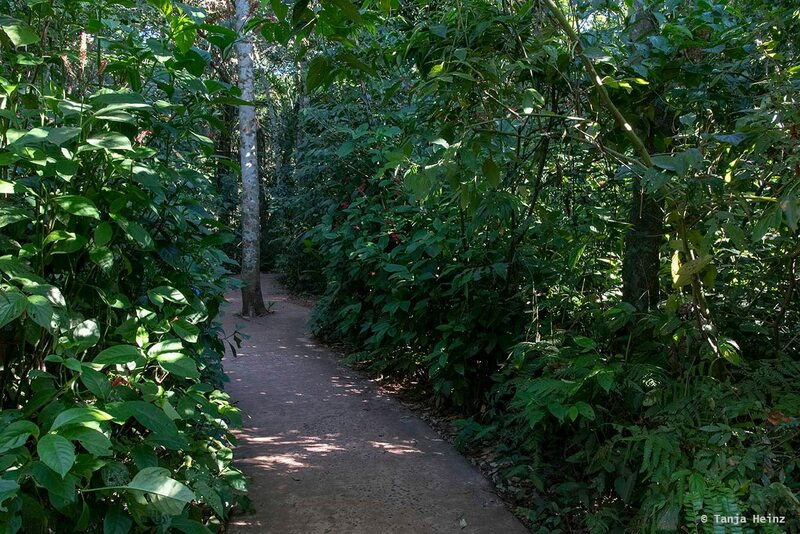 Parque das Aves is located just next to the Iguaçu Falls, and thus, easy to reach by public transport. Bus number 120 runs regularly between the central bus station TTU (Terminal de Transporte Urbano) and the Iguaçu National Park. 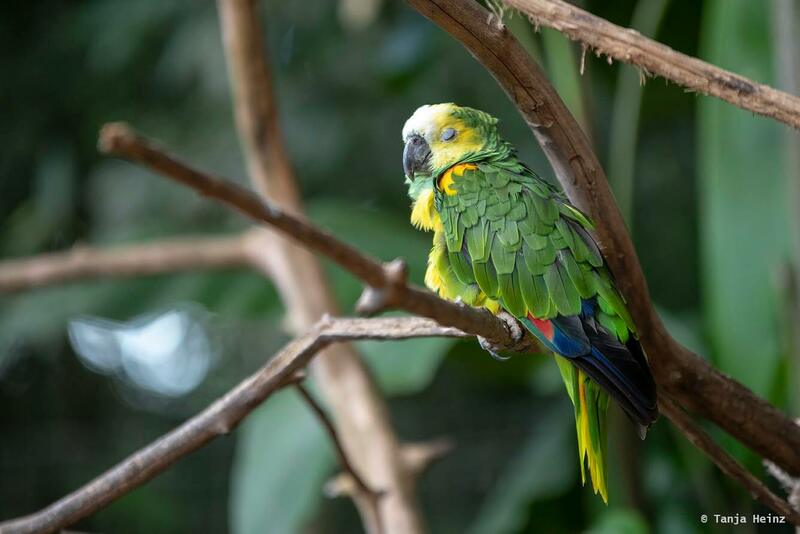 This bus will stop at the bird park, but also at the airport and at numerous bus stops along the Avenida Juscelino Kubitschek, Avenida Jorge Schimmelpfeng and Avenidas das Cataratas. Please check my previous article about South American coatis at the Iguaçu Falls to find more practical information with respect to accommodation and how to arrive in Foz do Iguaçu. 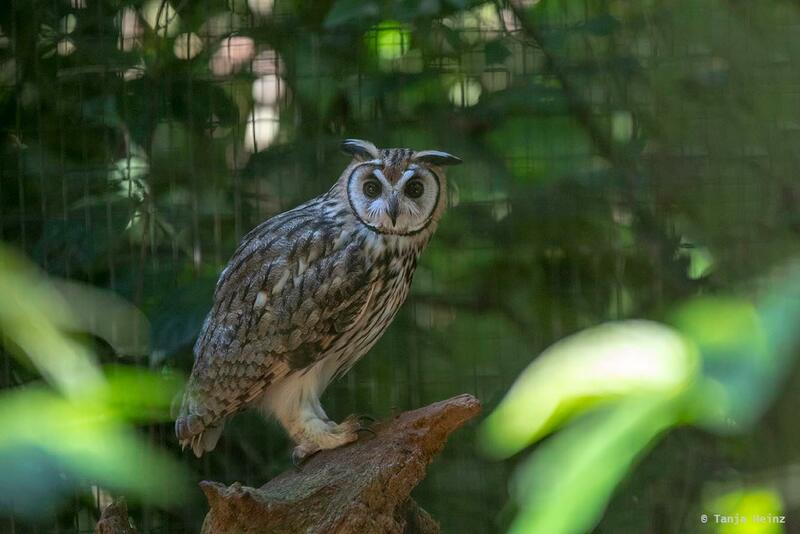 Parque das Aves opens daily from 8:30 a.m. to 5:00 p.m. Adults, both foreigners and Brazilians, have to pay 45 R$ per ticket. 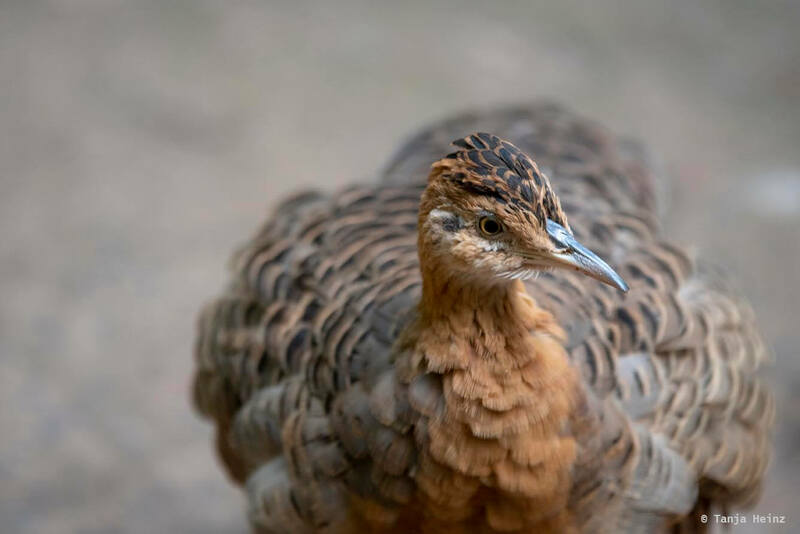 Children up to 8 years can enter the bird park for free (April 2019). Did you like this article? Or have you already been in Parque das Aves? Let me know about your experiences. I’m also very interested to know if you visit bird parks in general. If you like this article, please feel free to share it on social media.